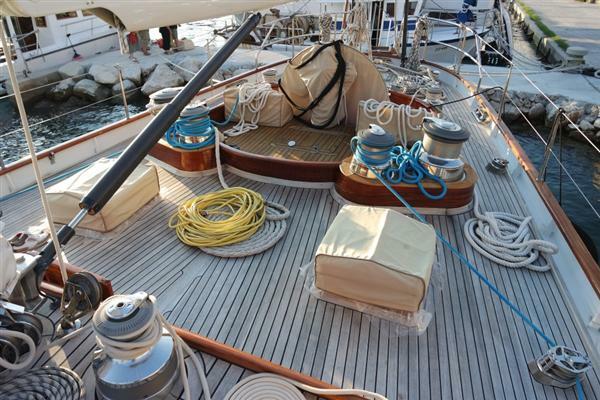 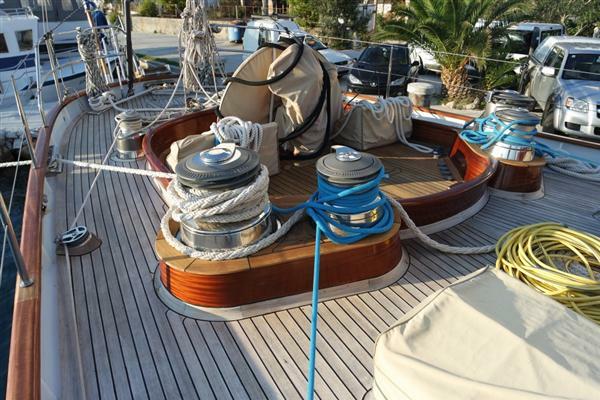 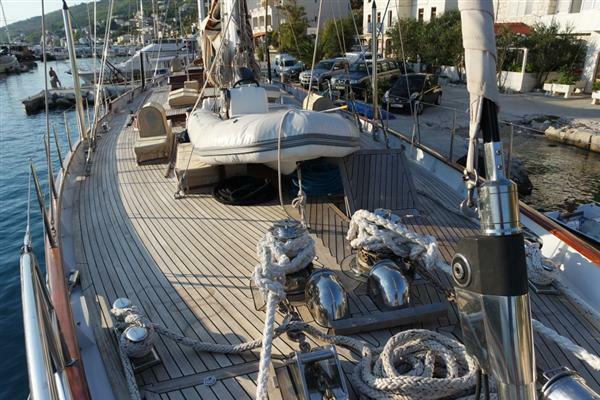 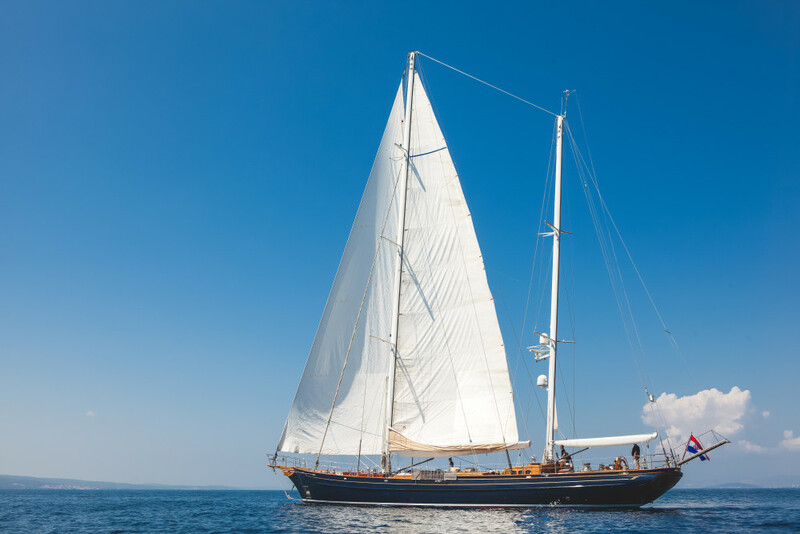 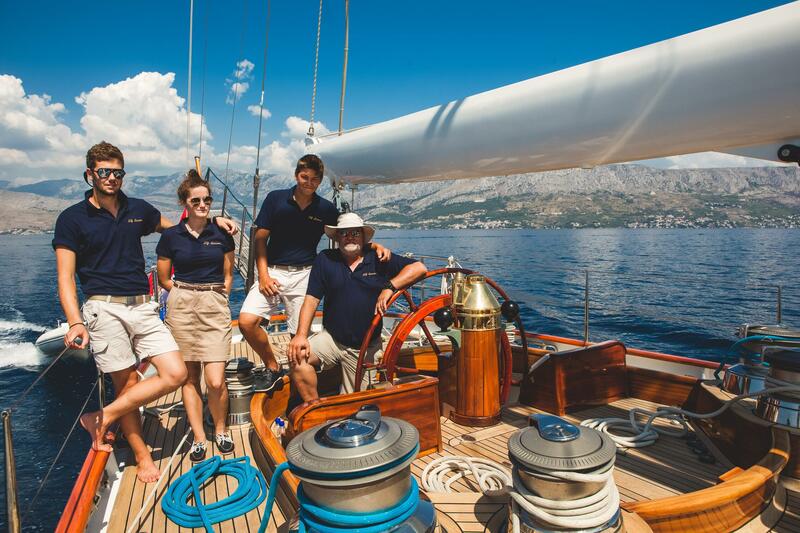 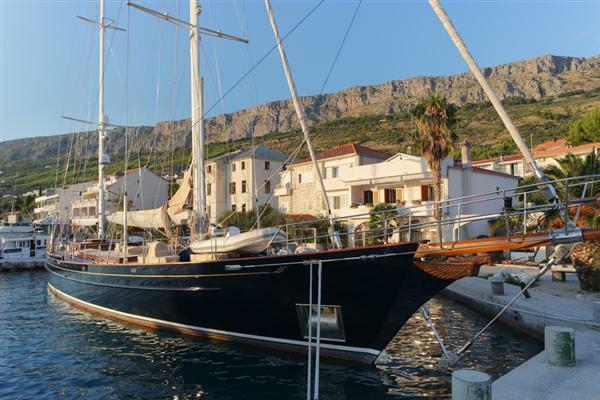 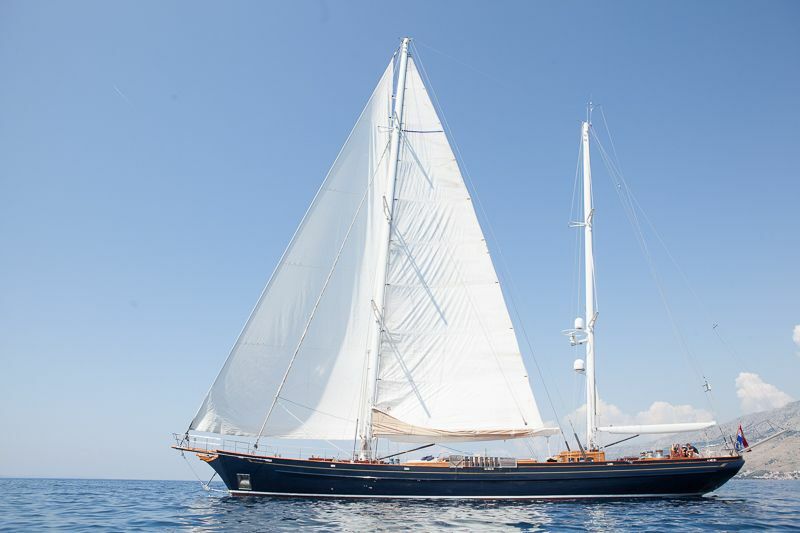 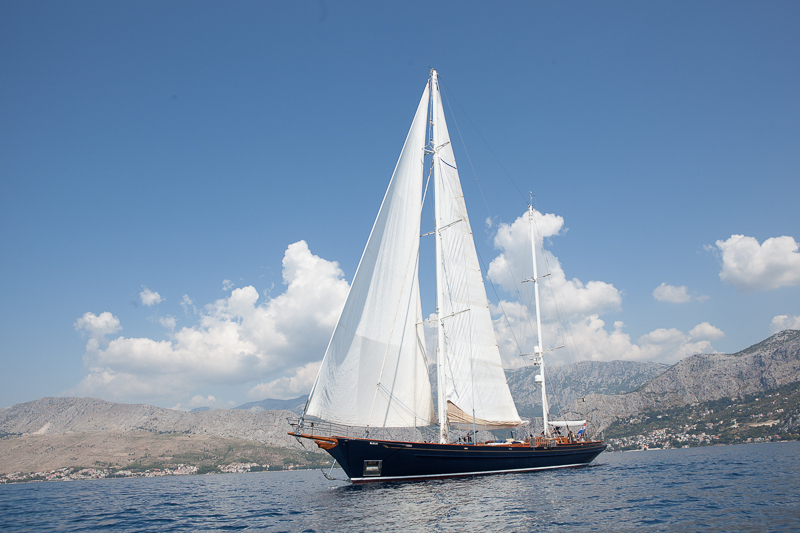 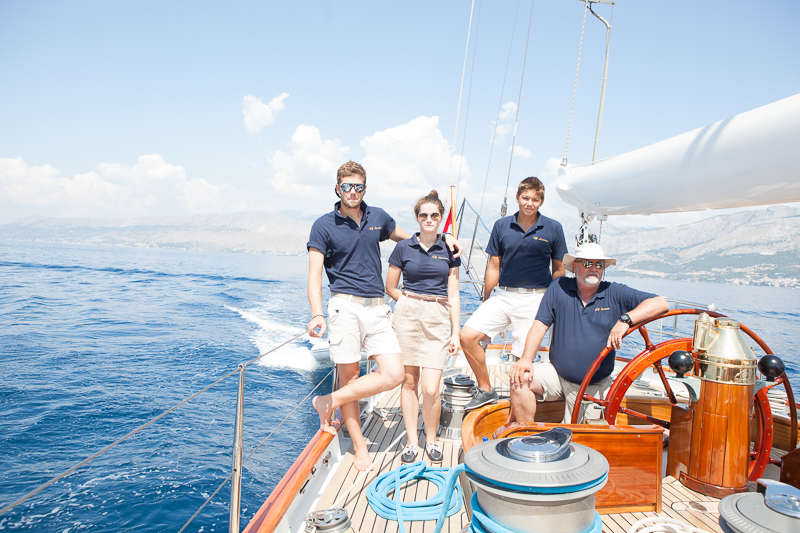 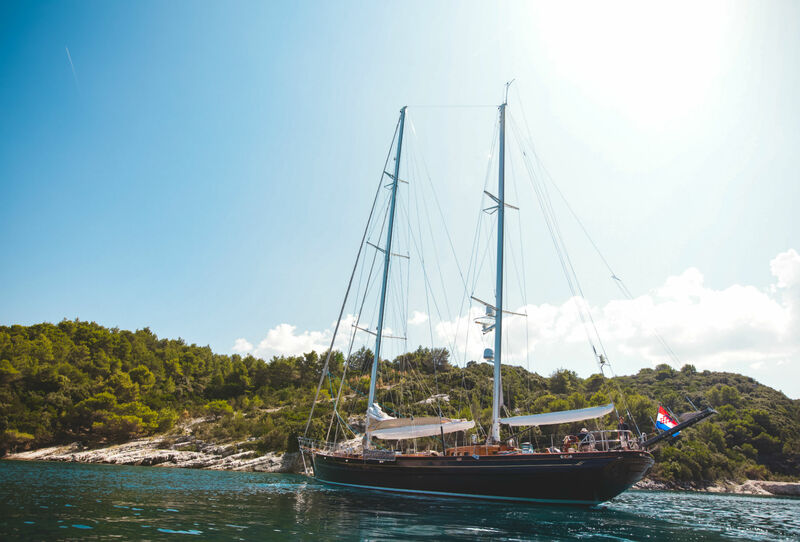 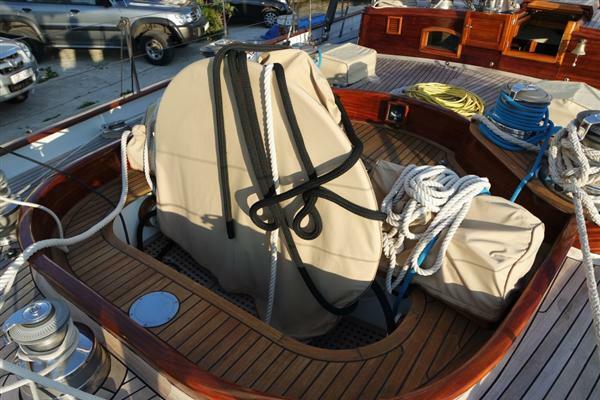 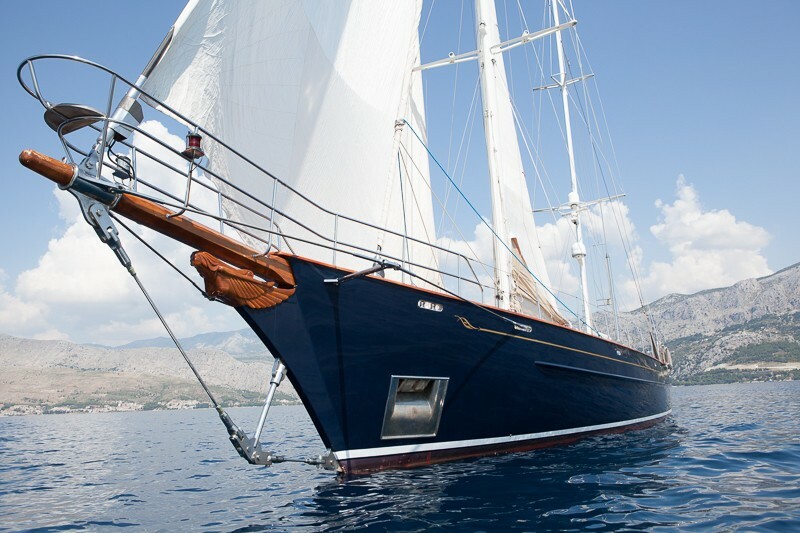 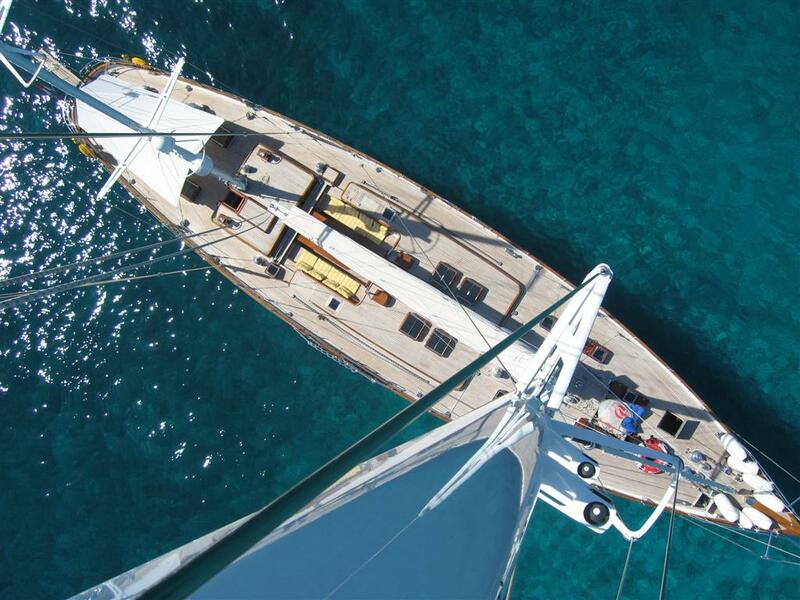 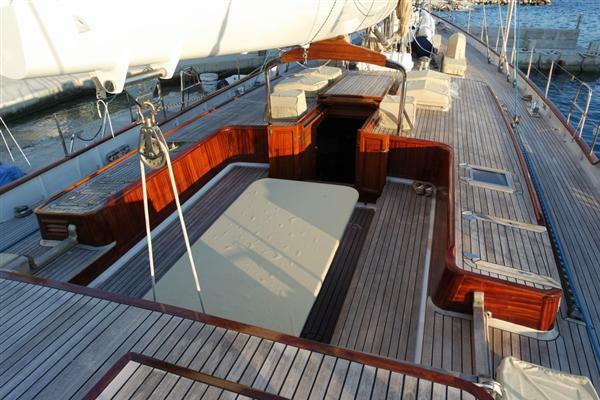 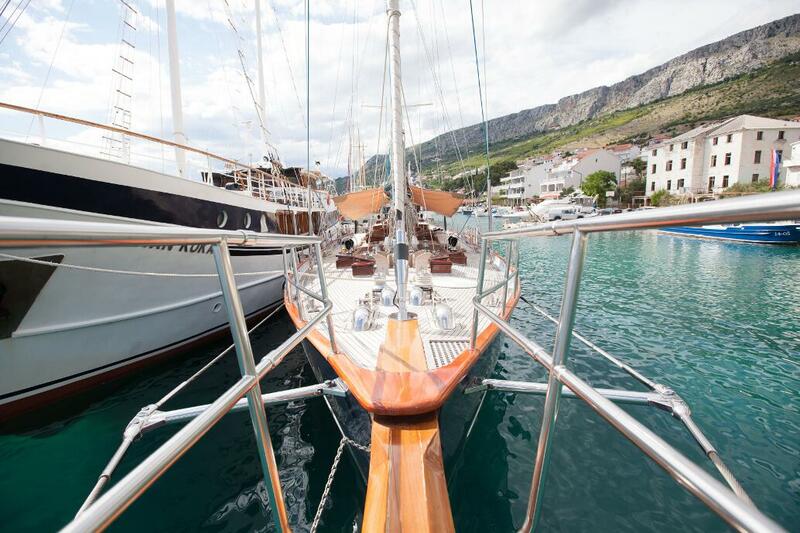 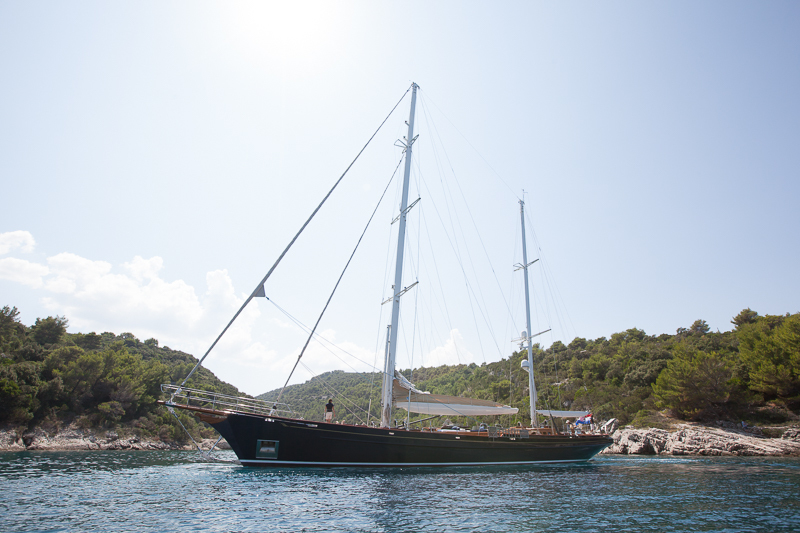 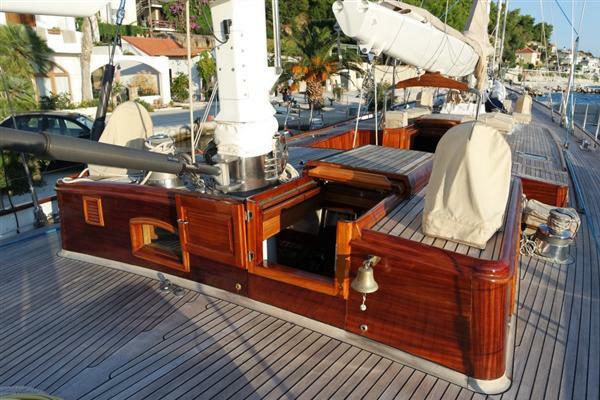 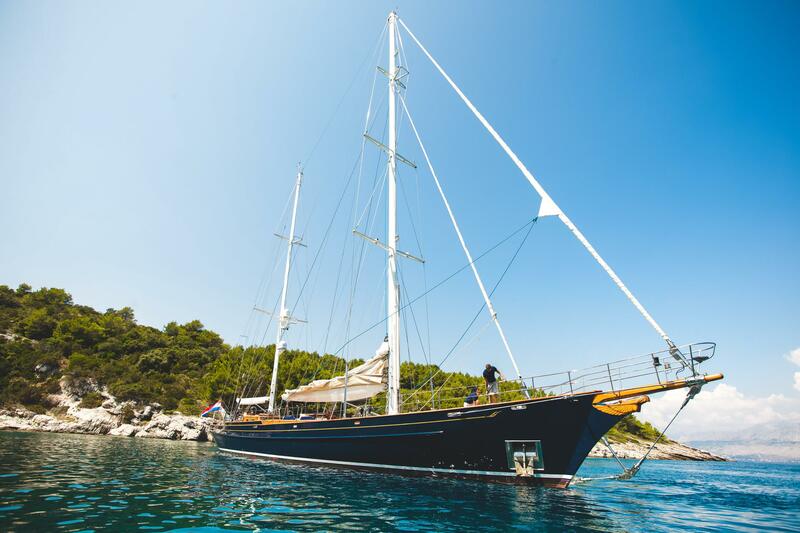 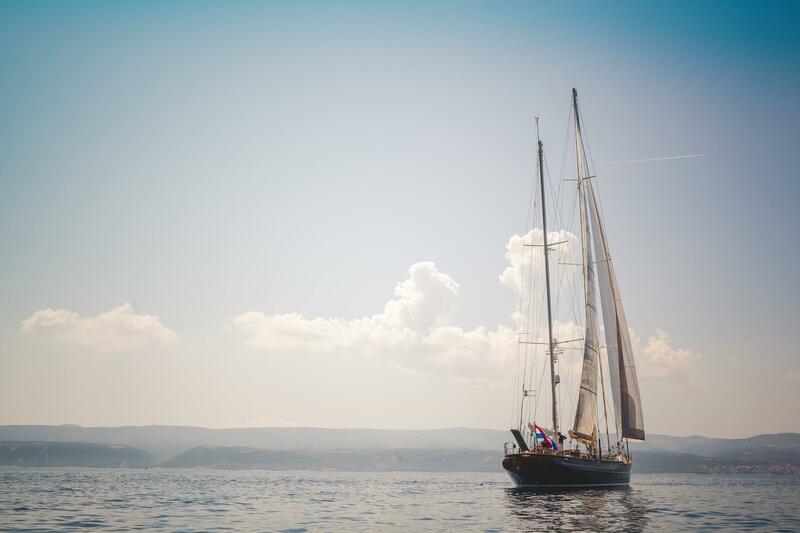 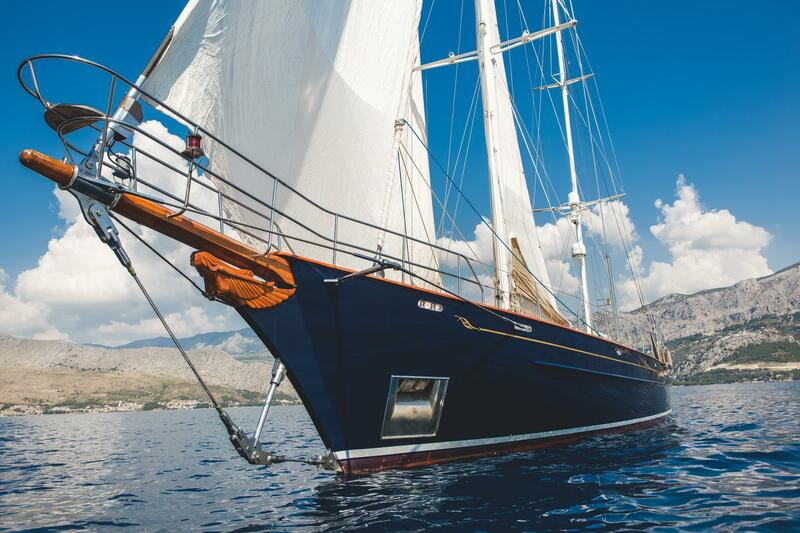 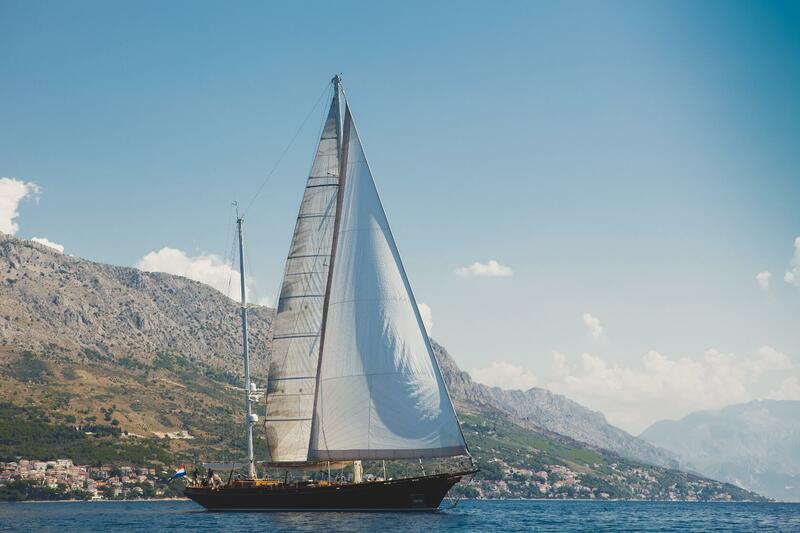 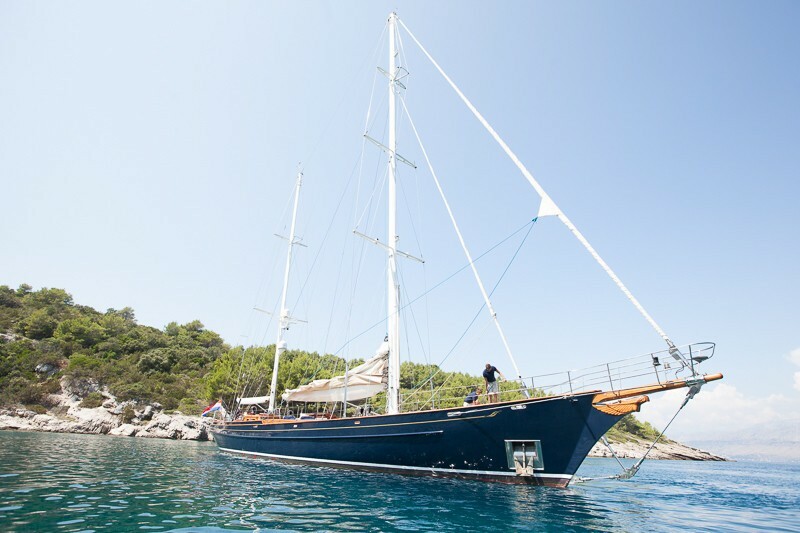 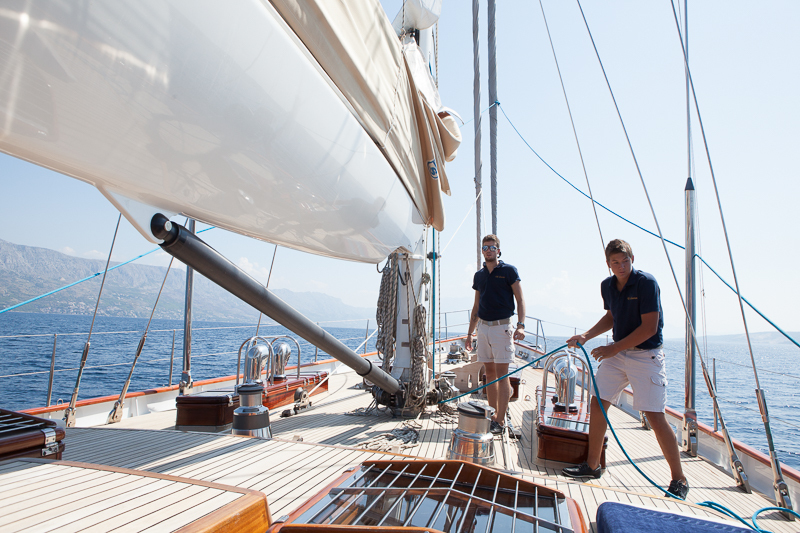 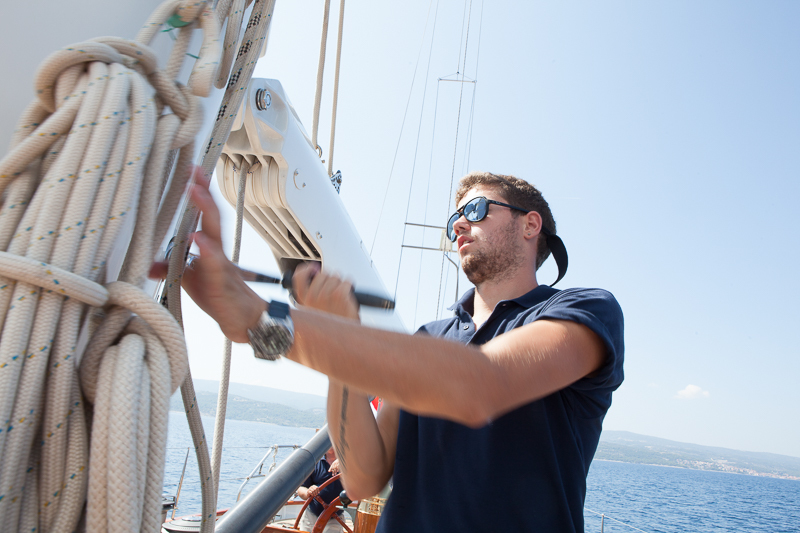 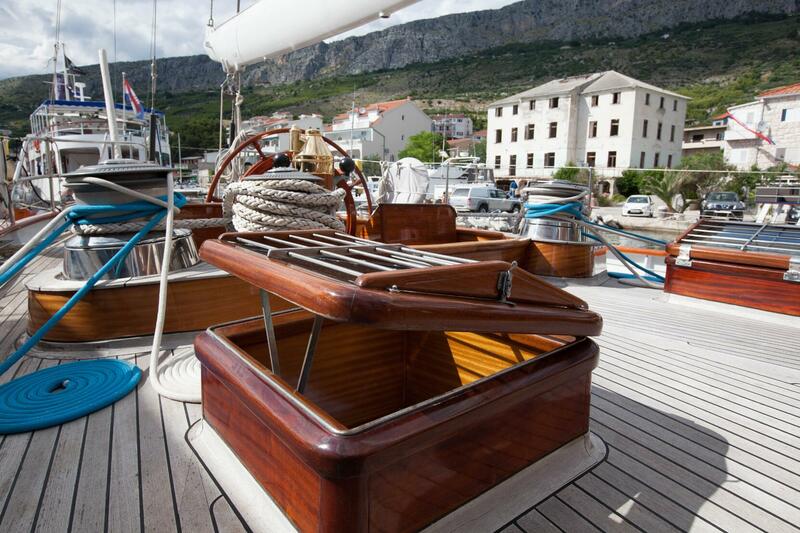 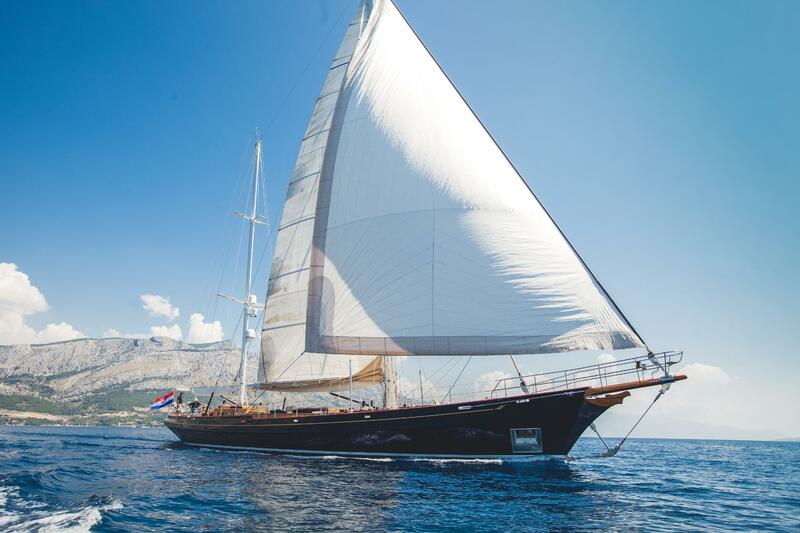 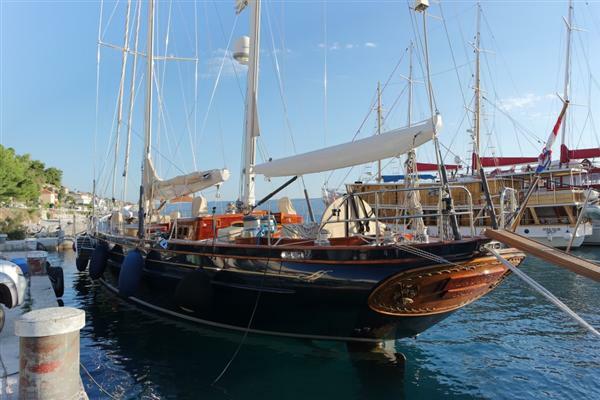 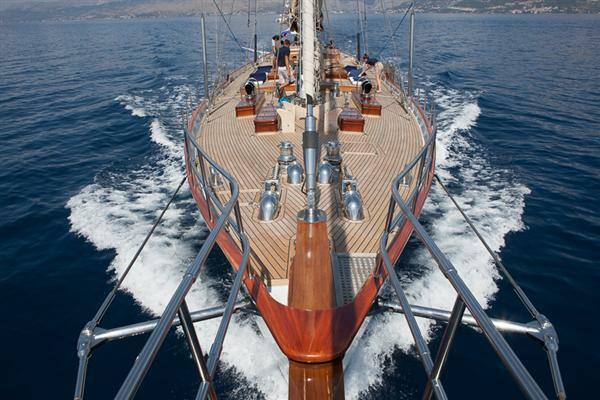 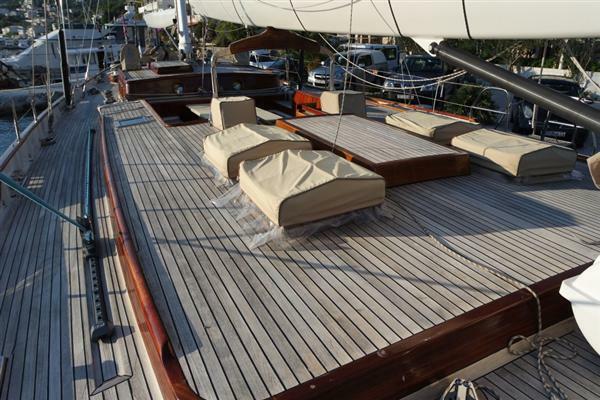 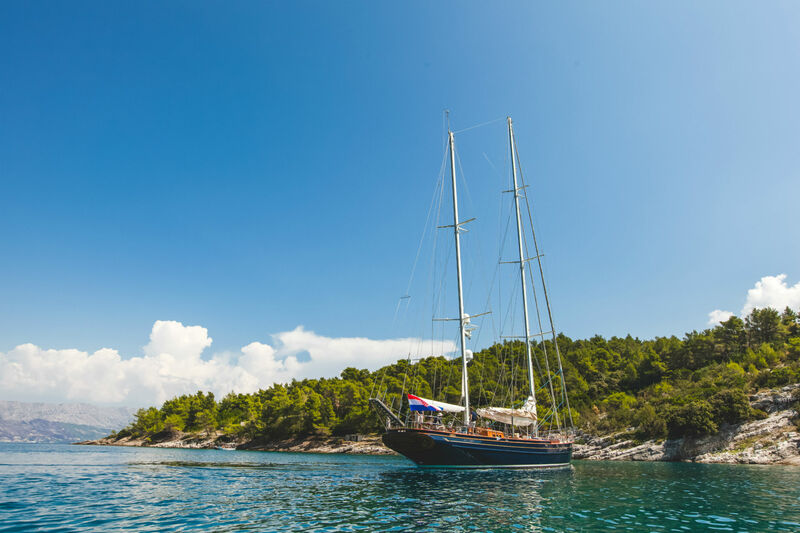 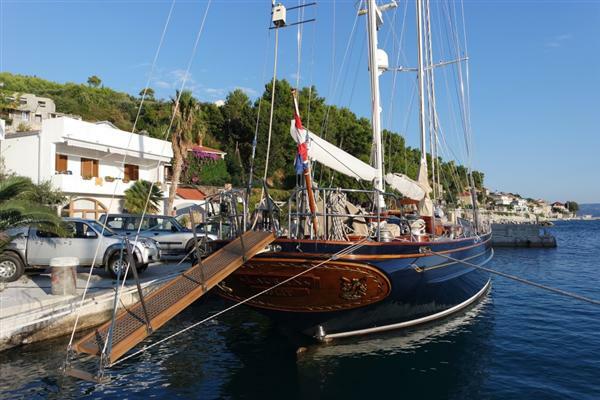 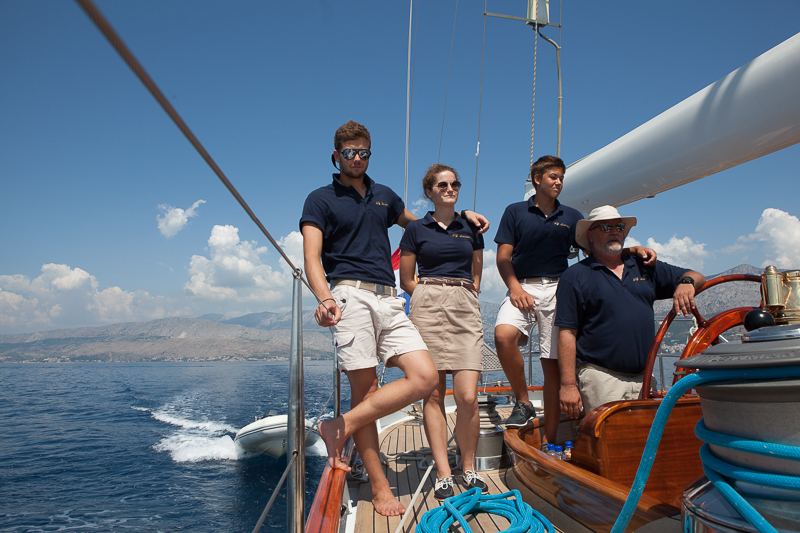 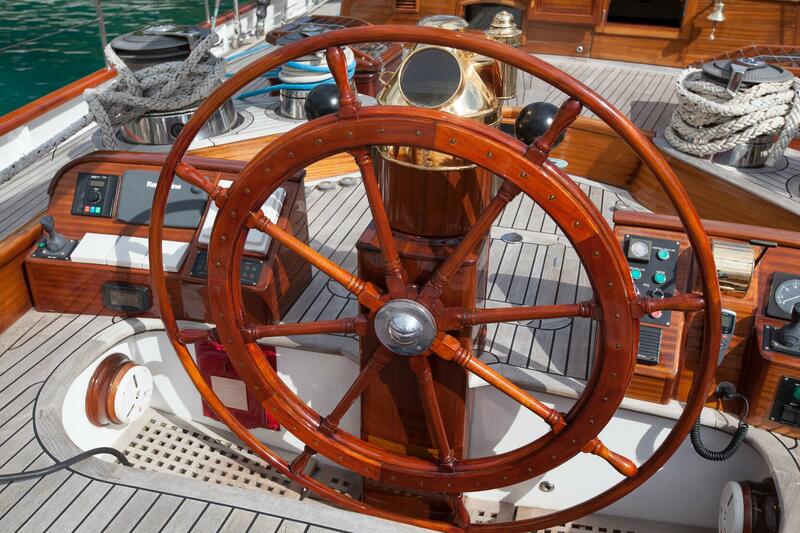 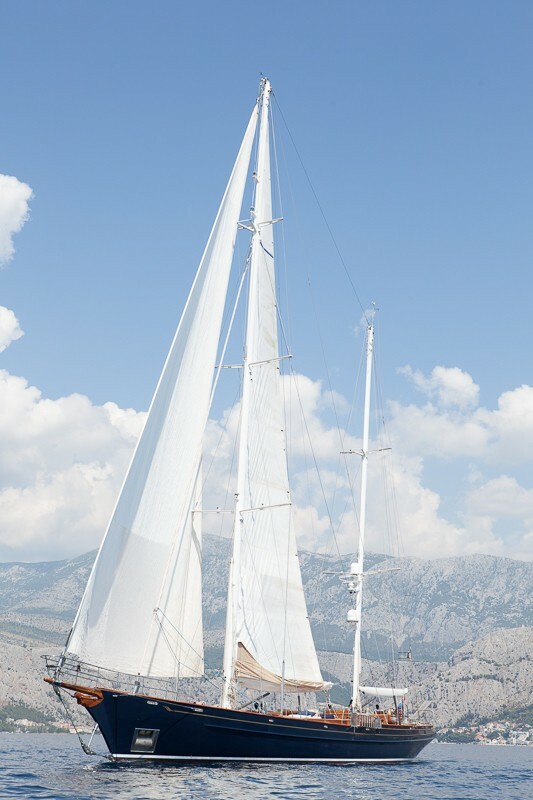 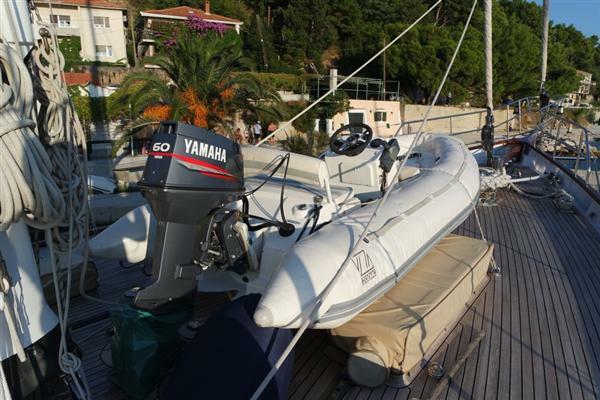 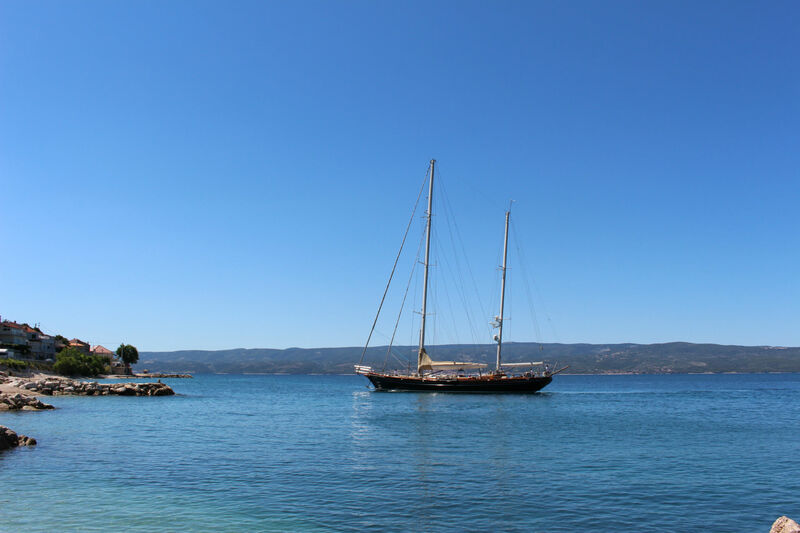 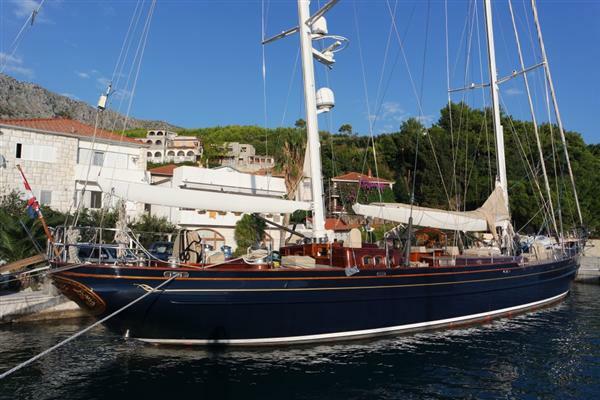 First launched in 1998, Lauran is a beautiful sailing yacht built by Heli Yachts. 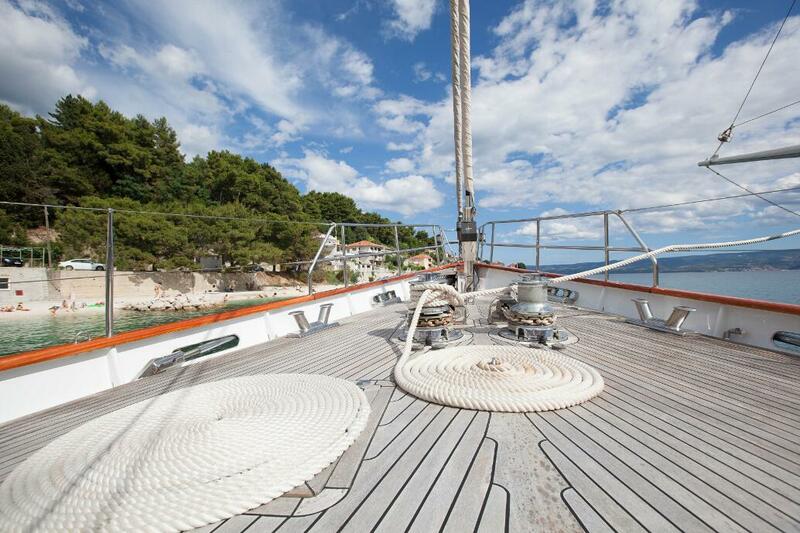 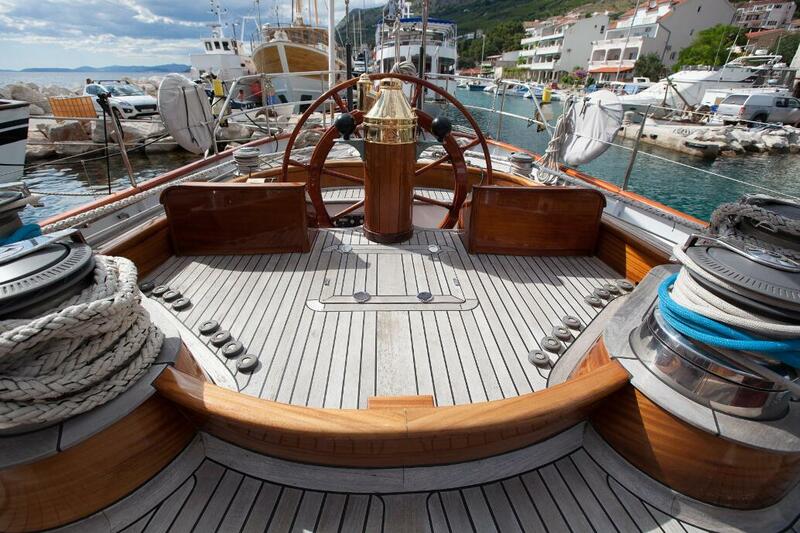 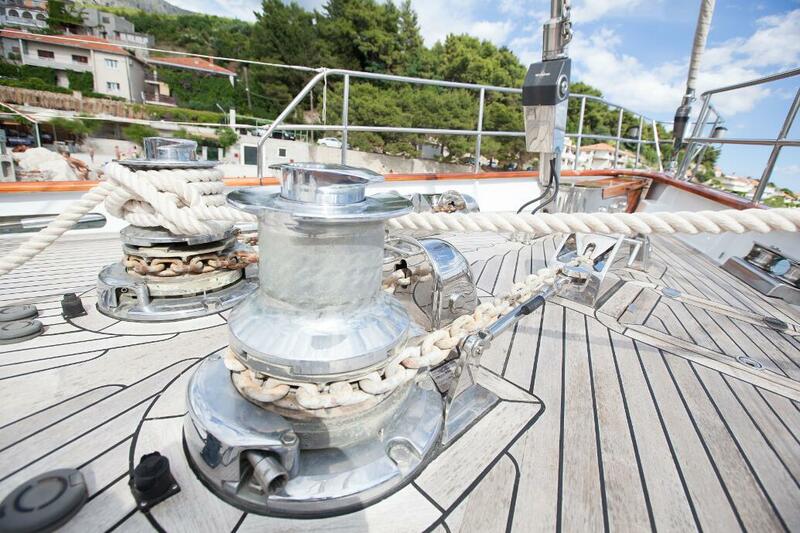 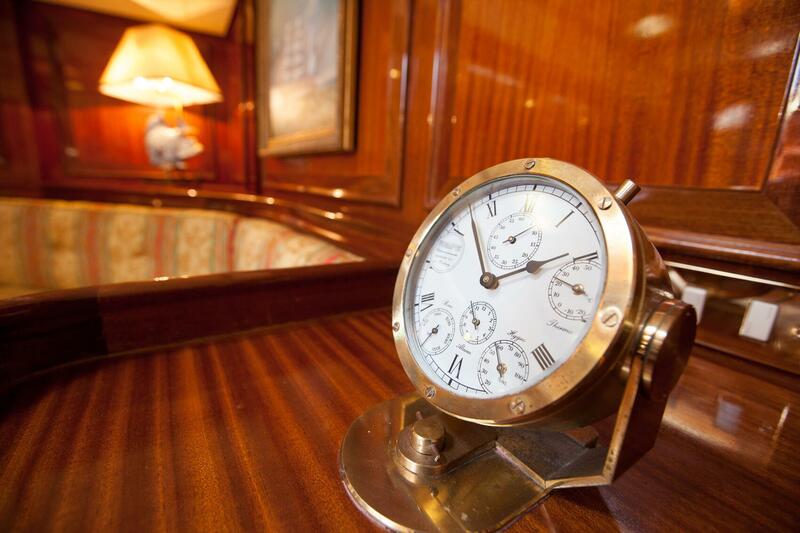 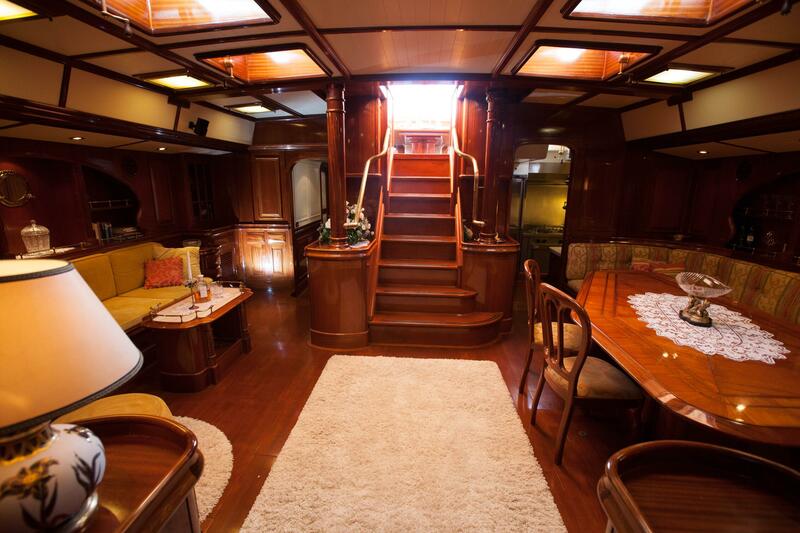 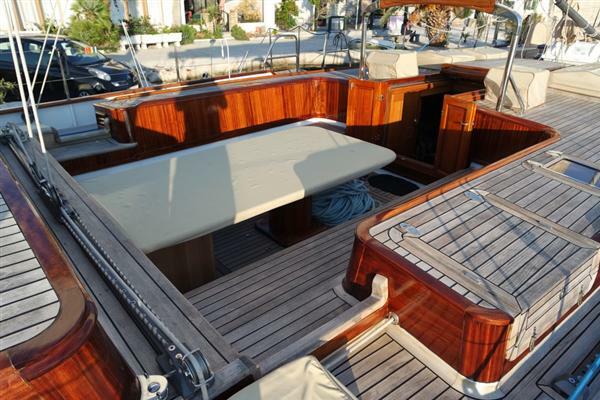 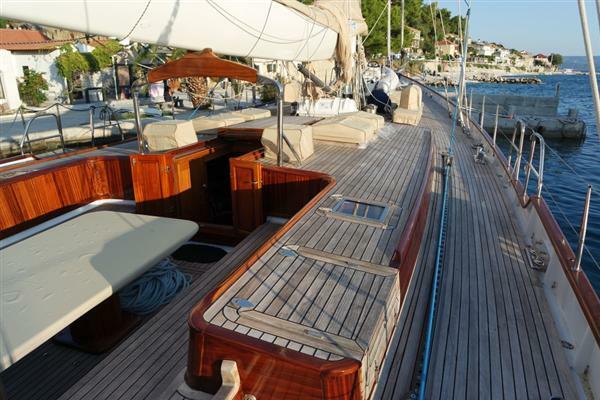 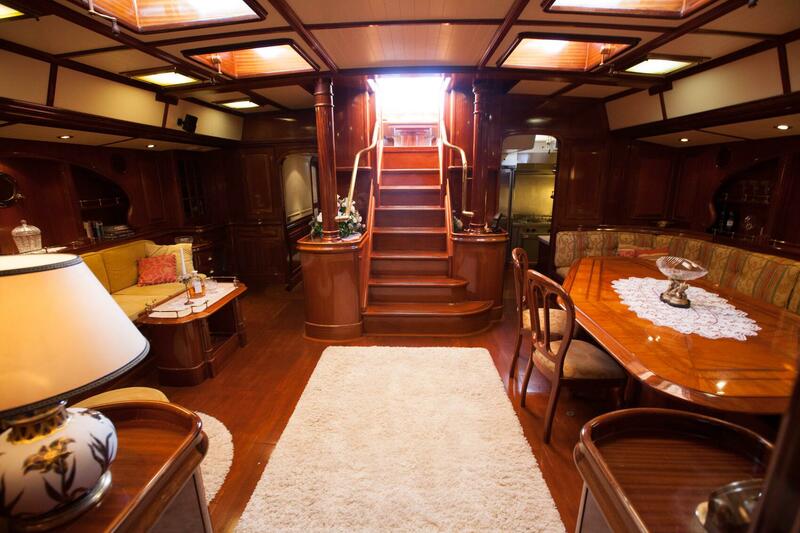 She measures 35m (115ft) and offers luxury yacht charter for a total of 7 guests. 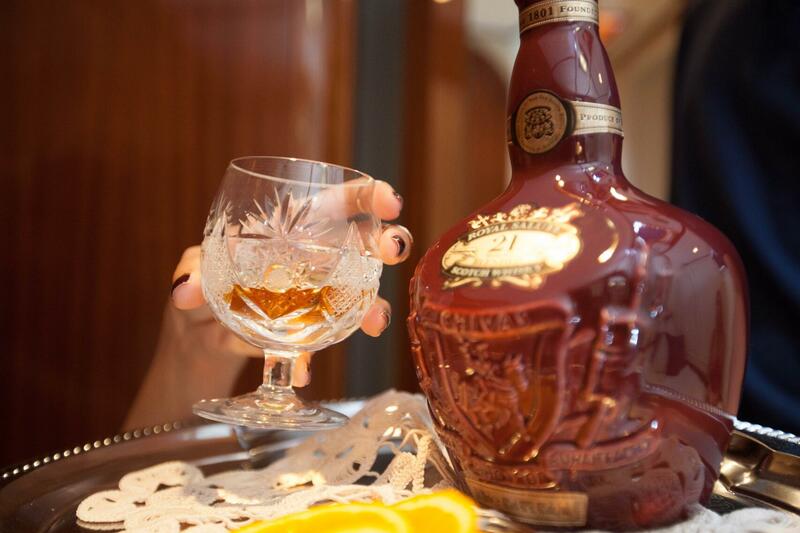 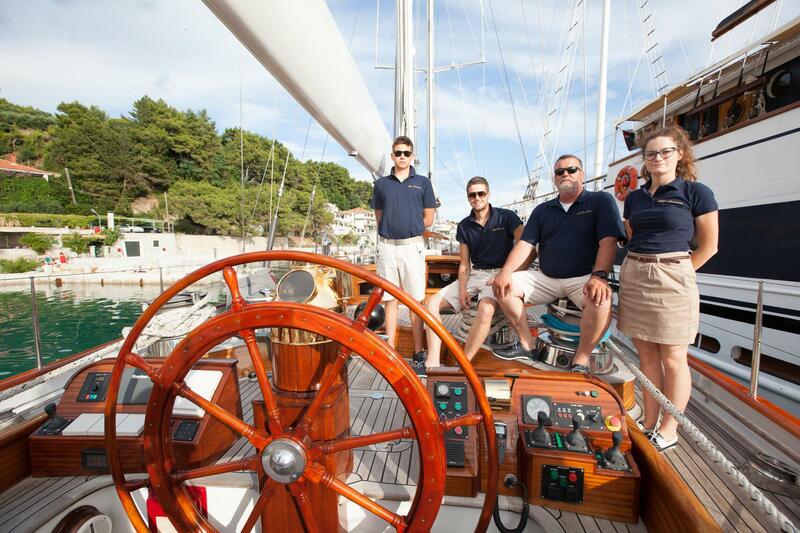 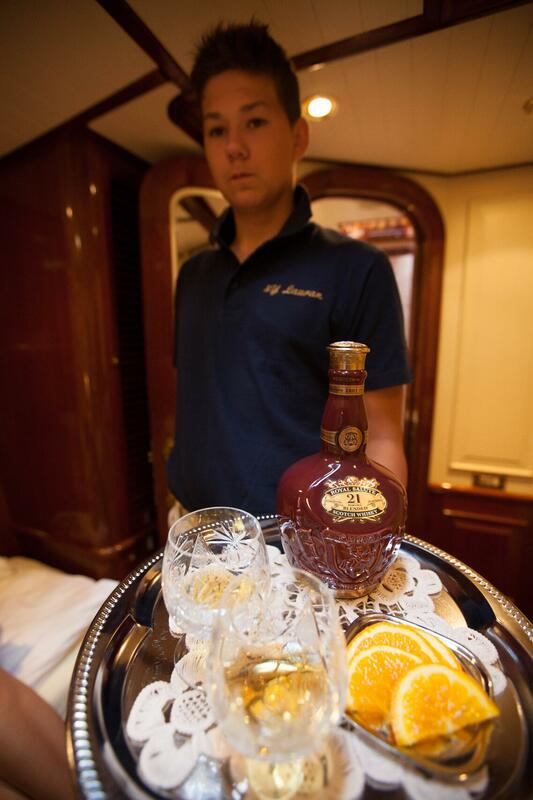 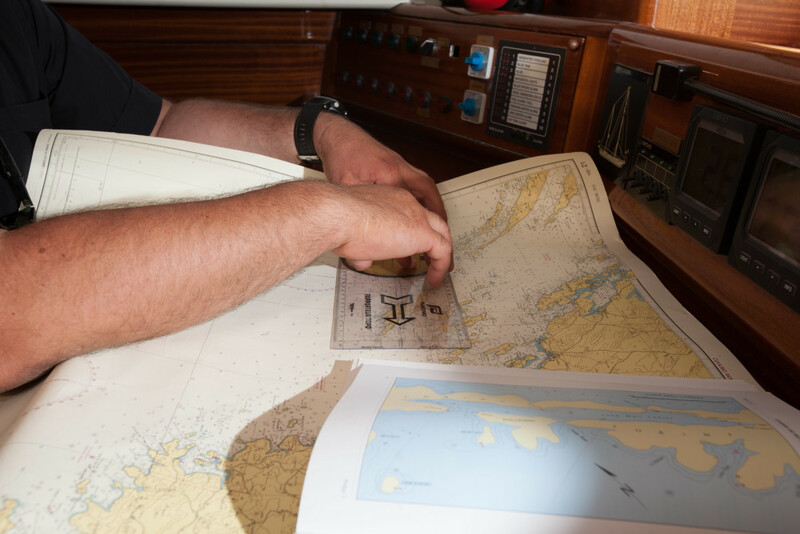 She has an outstanding crew of 4 who will ensure the highest standard of service is provided at all times. 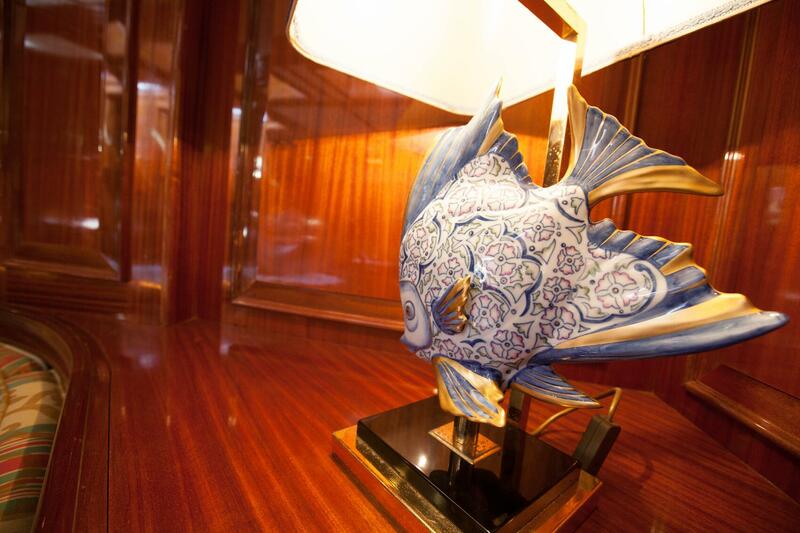 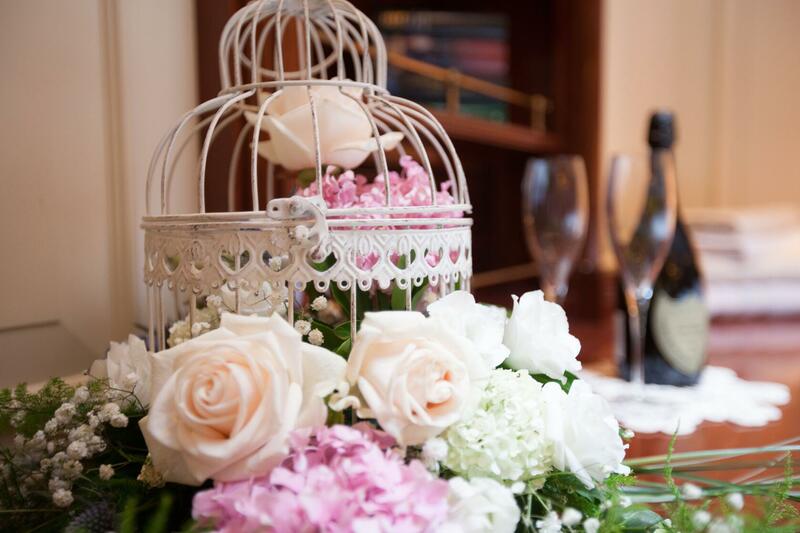 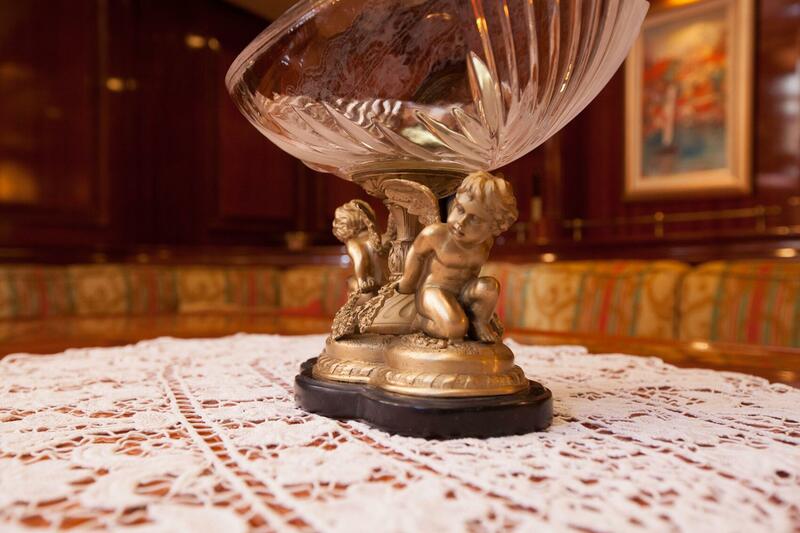 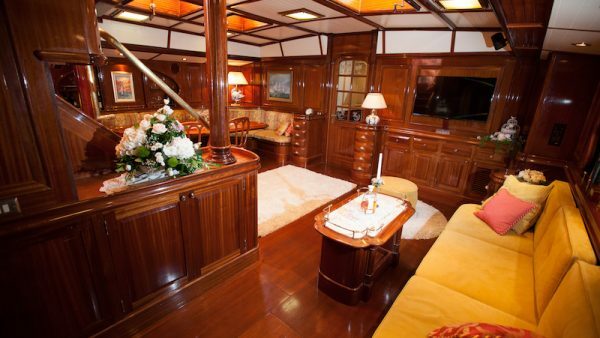 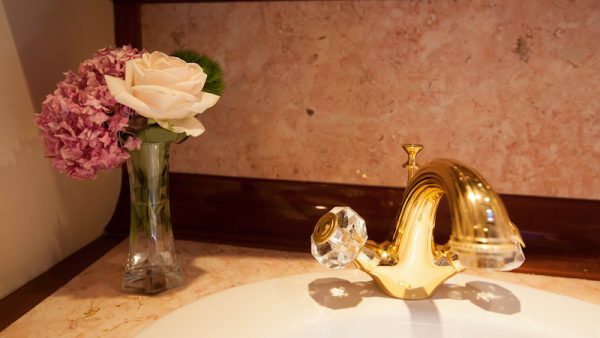 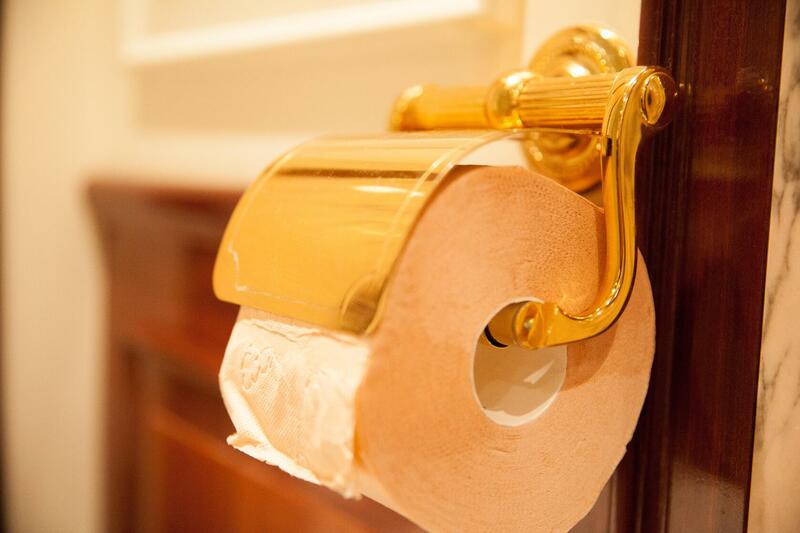 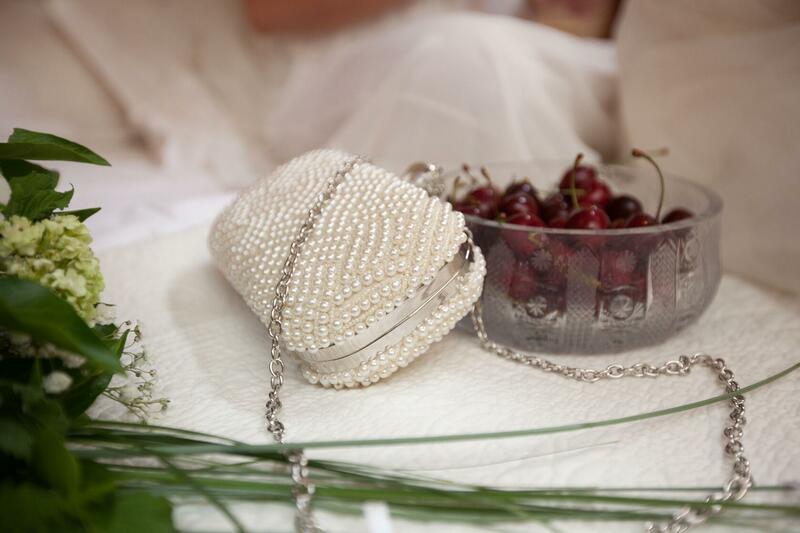 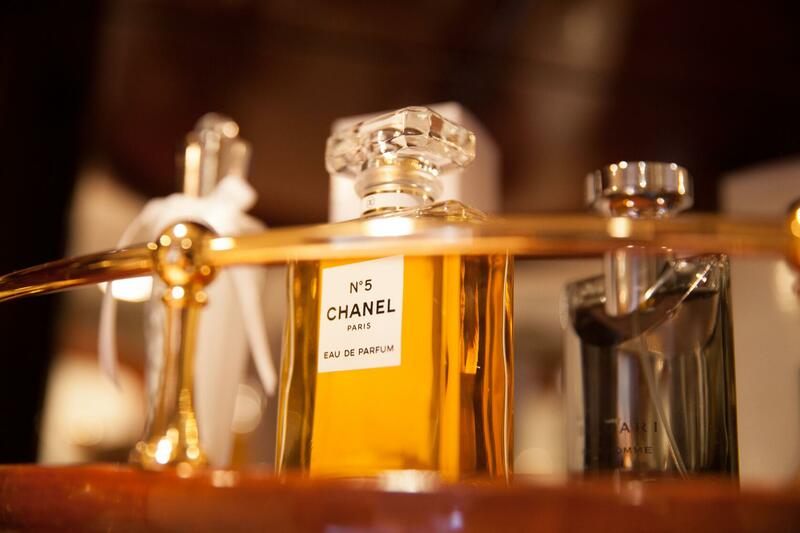 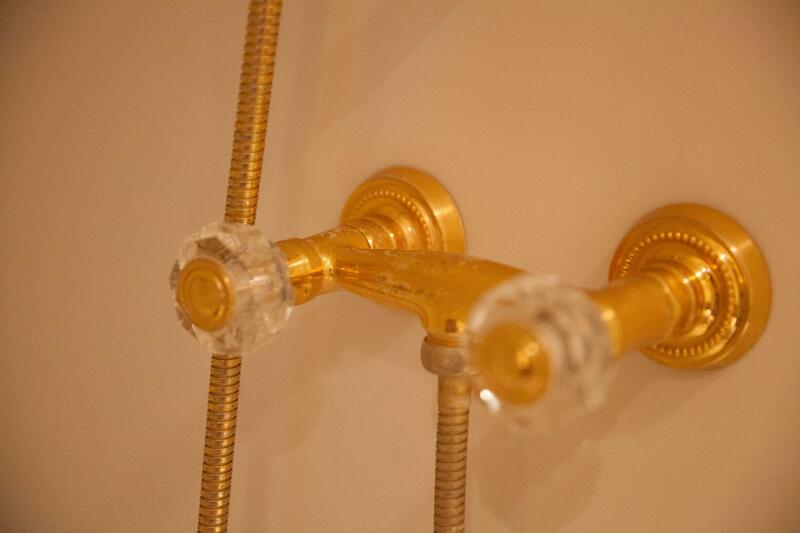 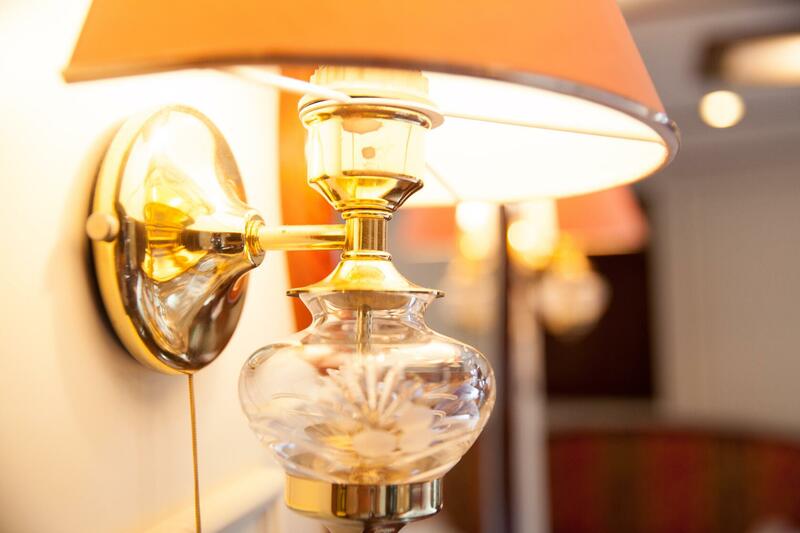 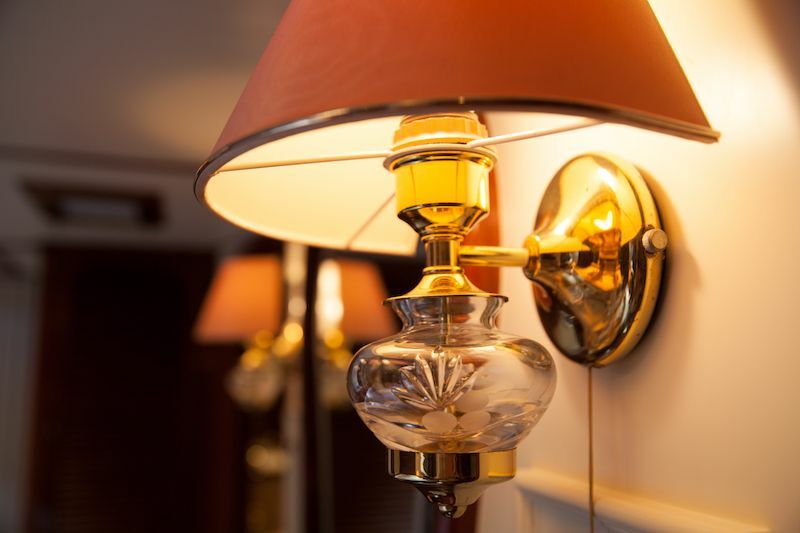 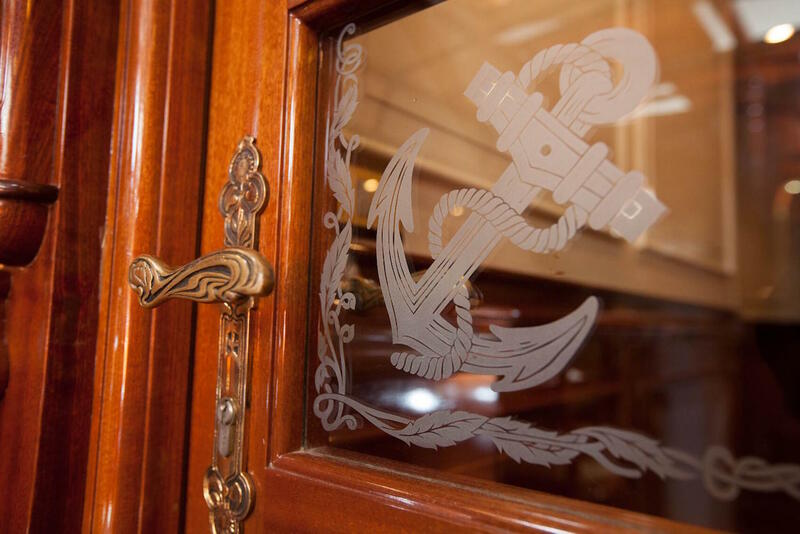 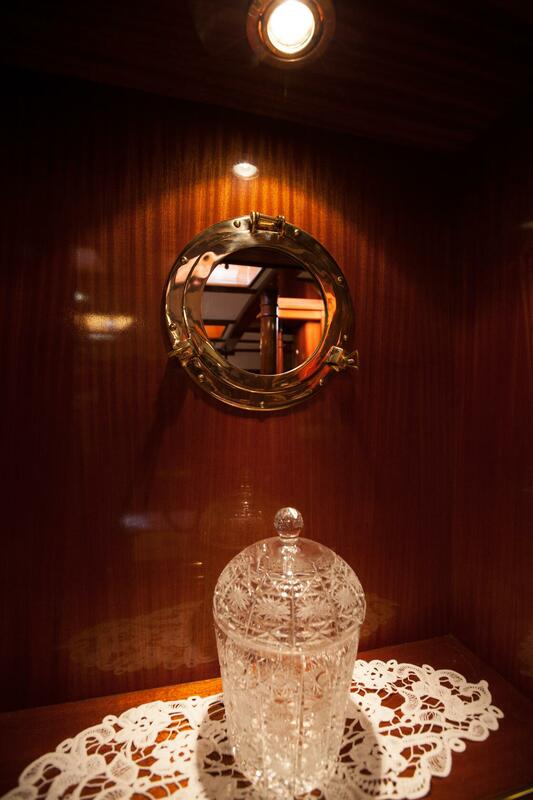 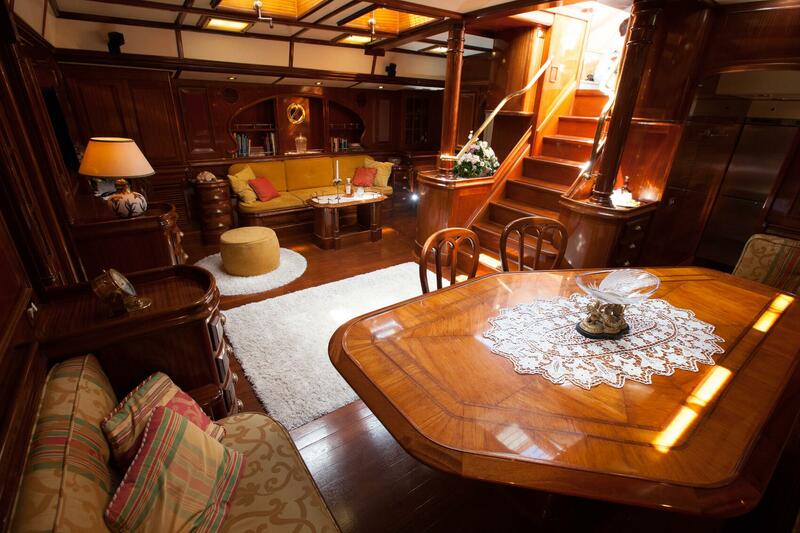 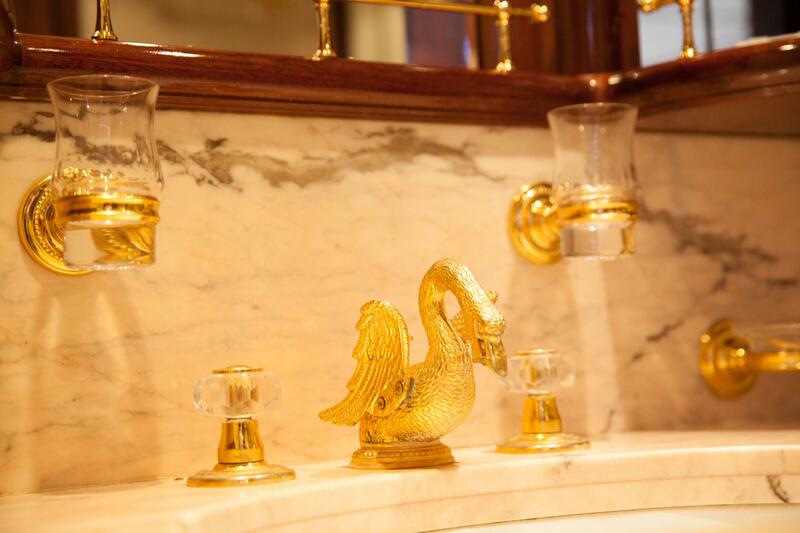 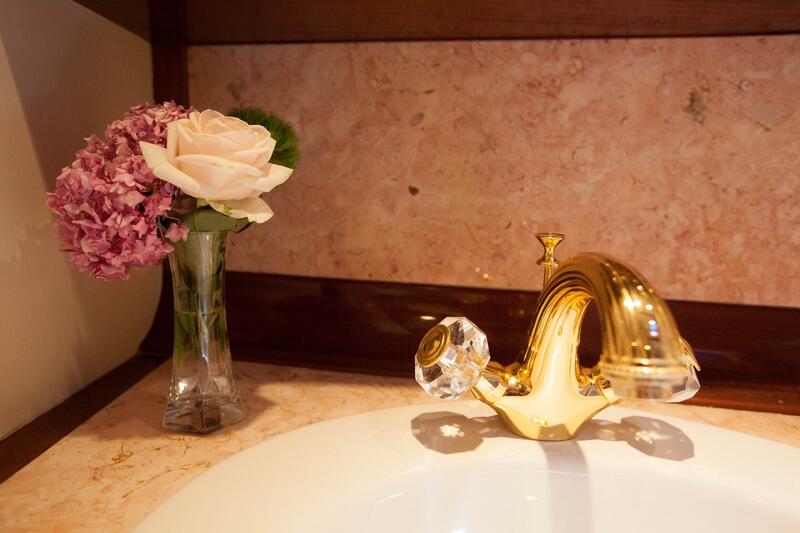 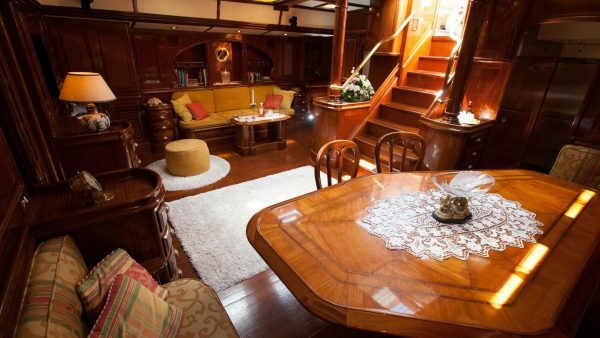 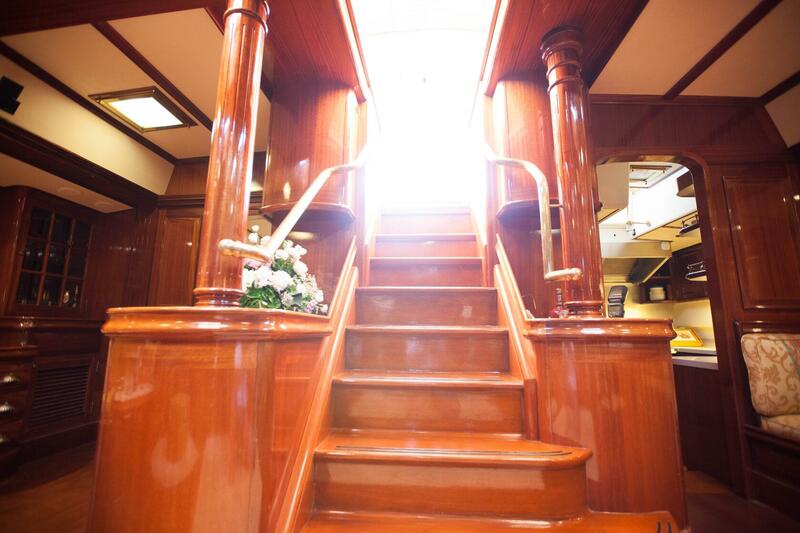 The inteior decor features opulent mahogany and teak, as well as some beautiful elements of crystals and gold. 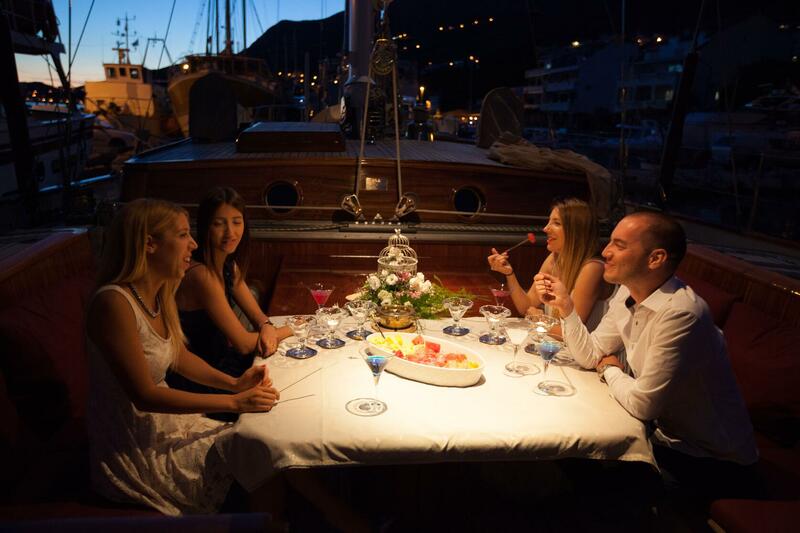 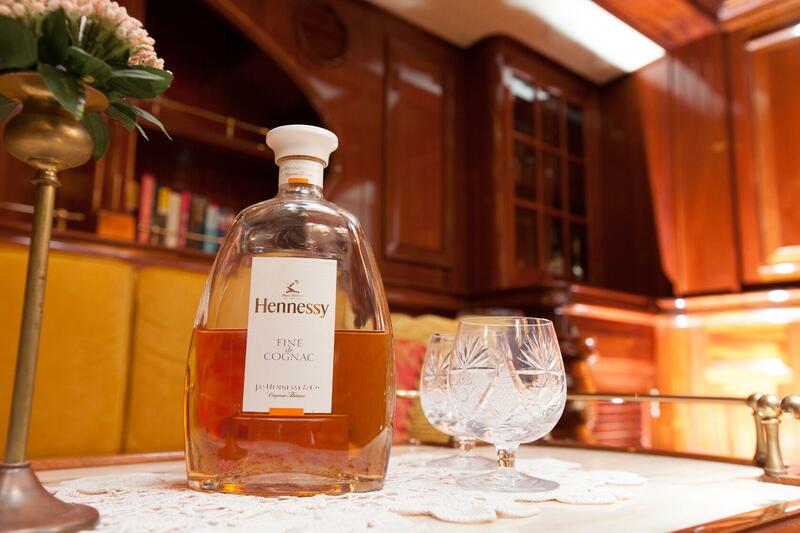 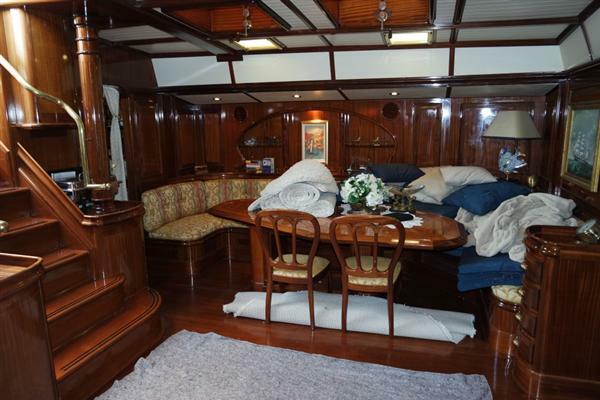 There is a large dining area for 7 guests, as well as an ample lounge for socialising and relaxation. 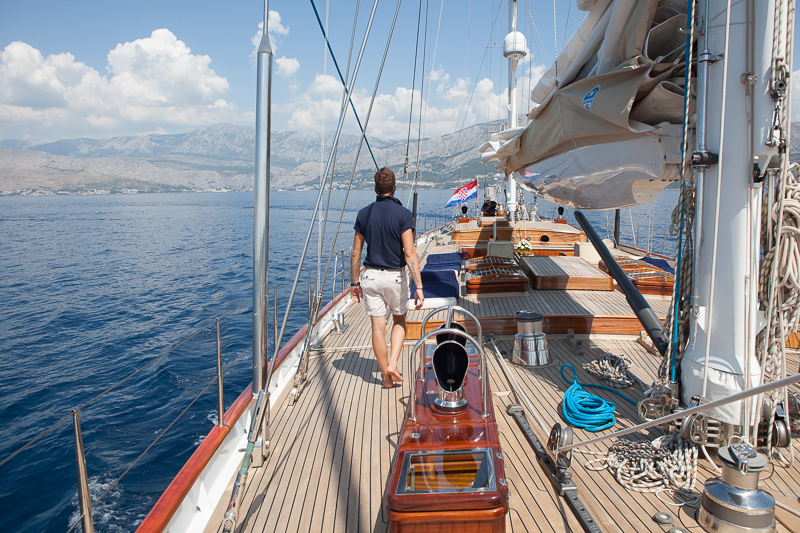 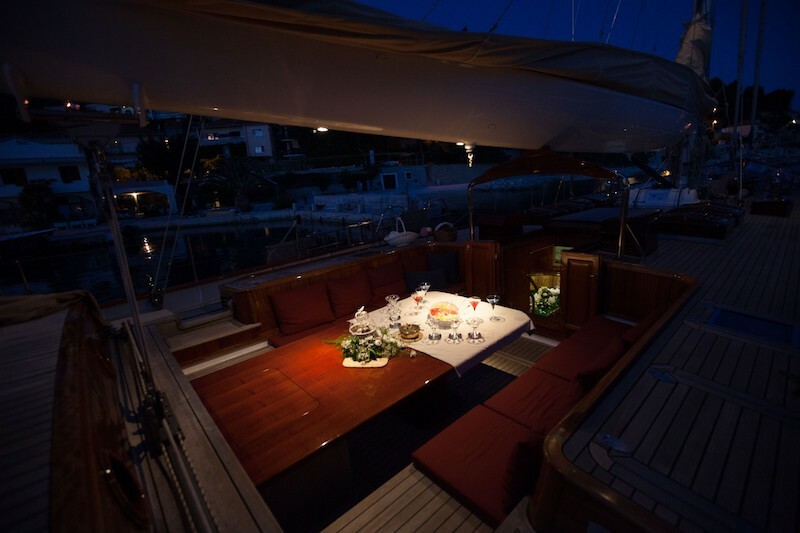 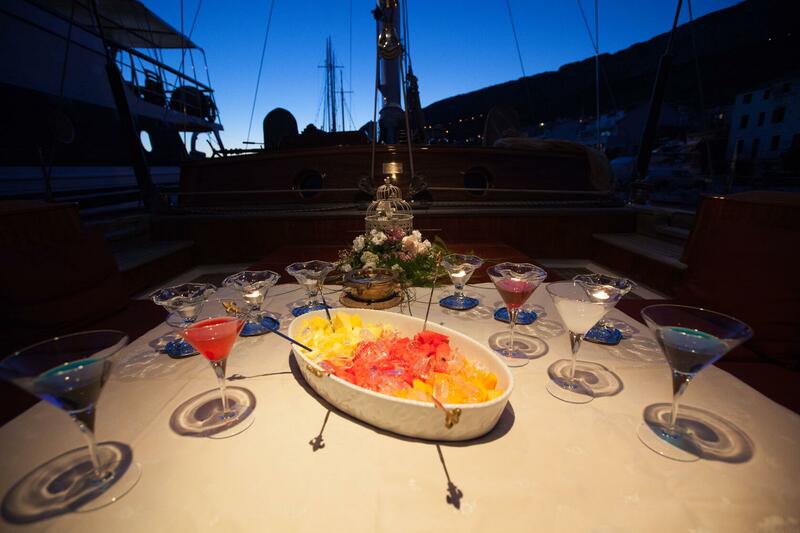 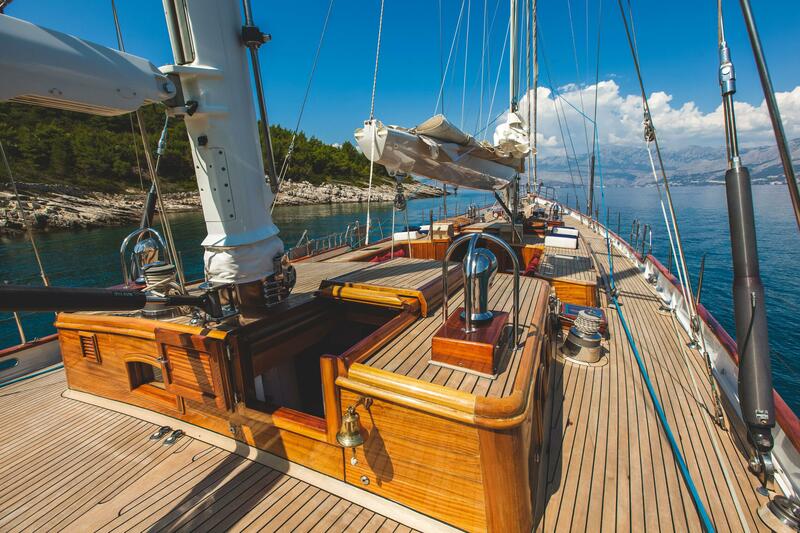 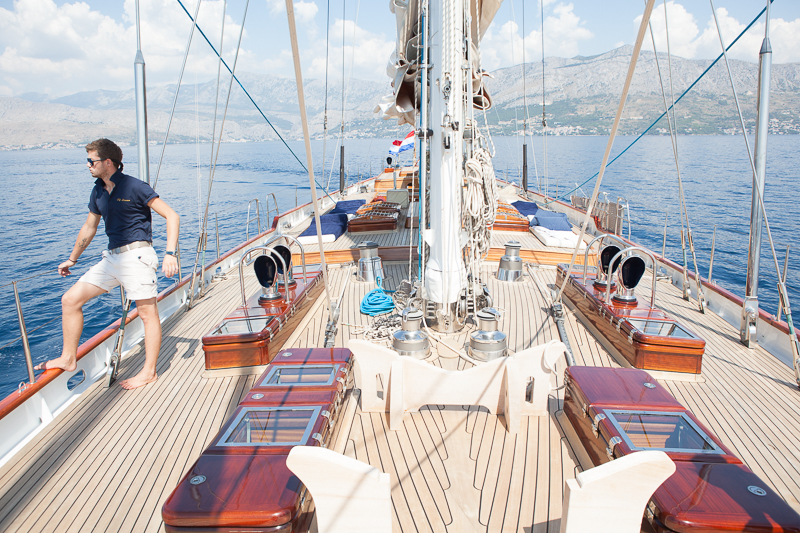 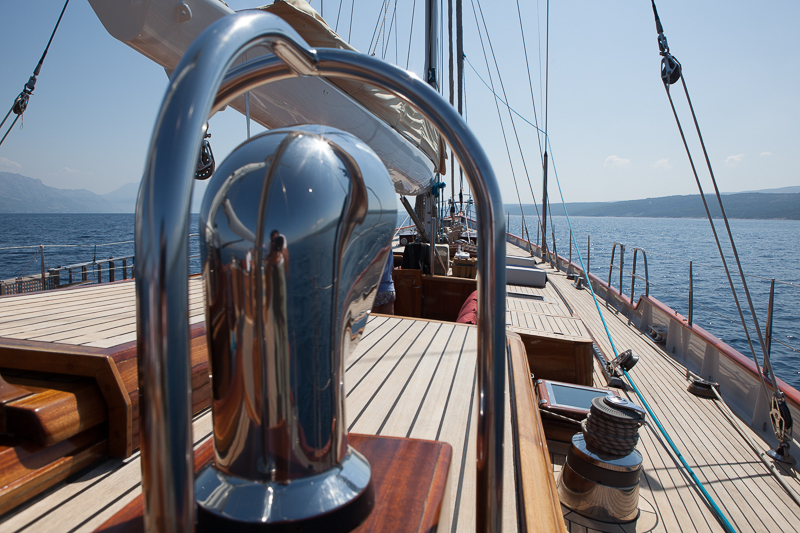 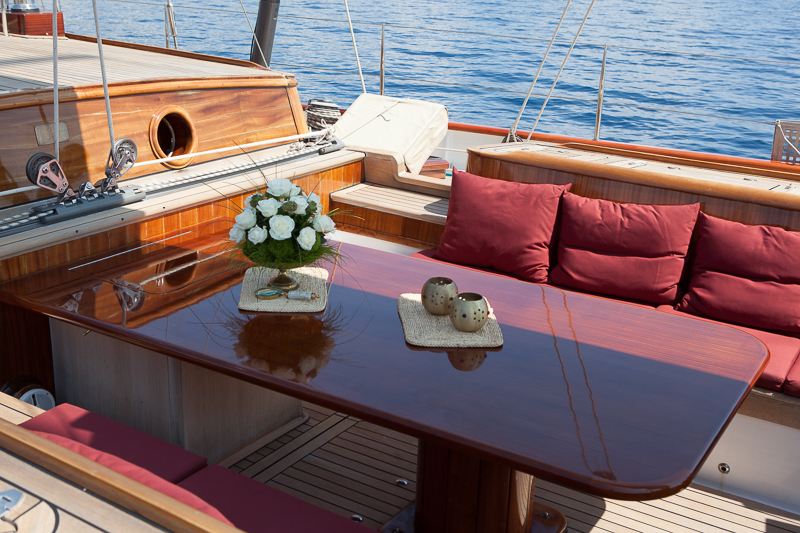 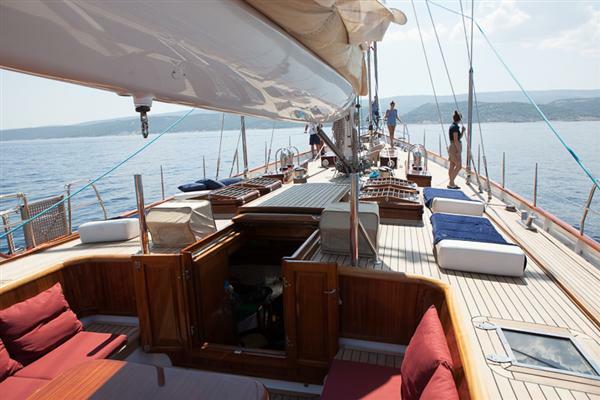 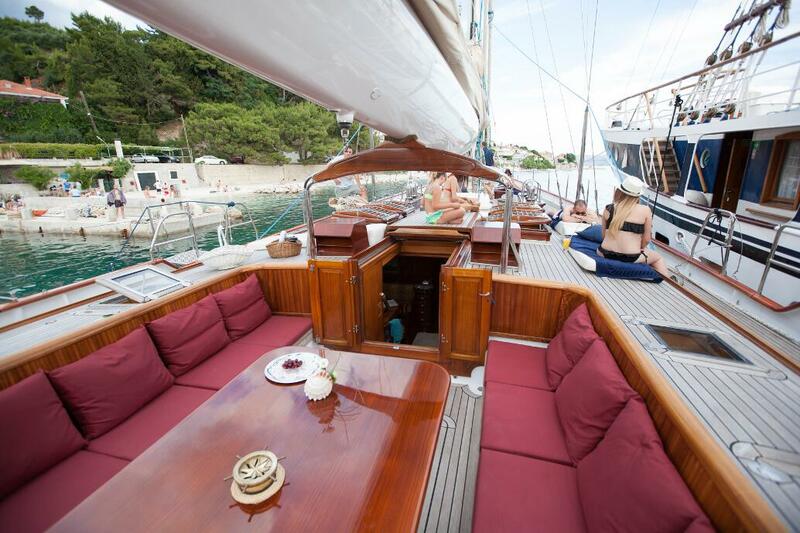 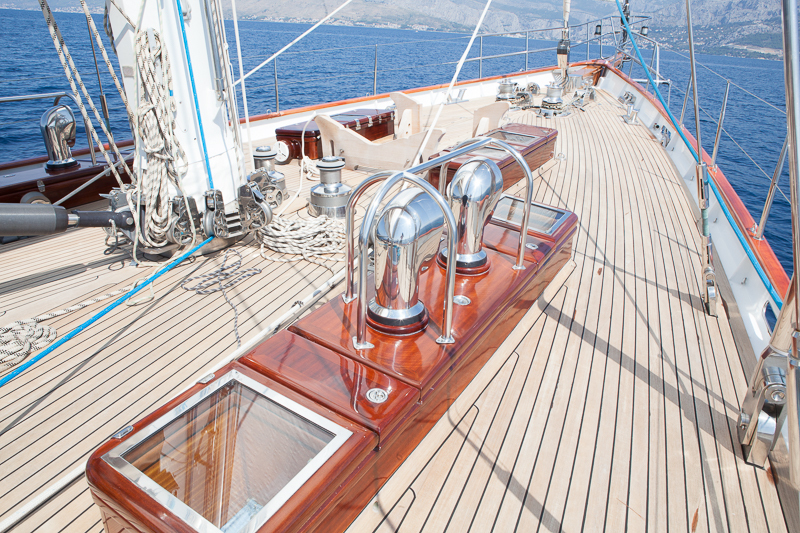 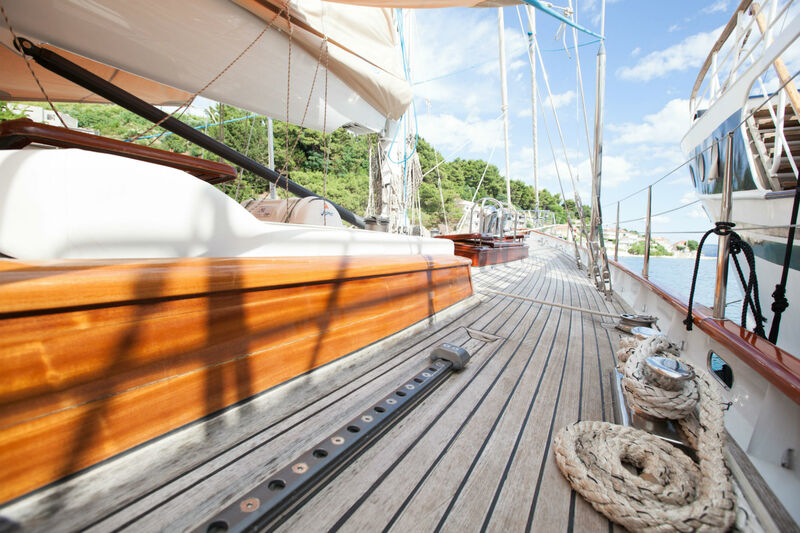 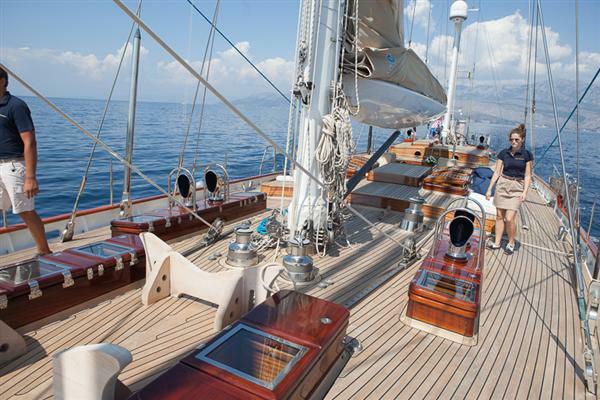 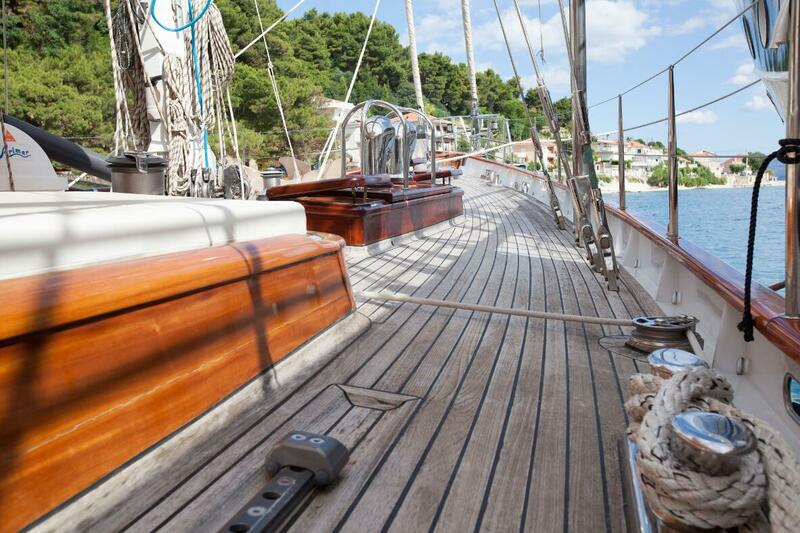 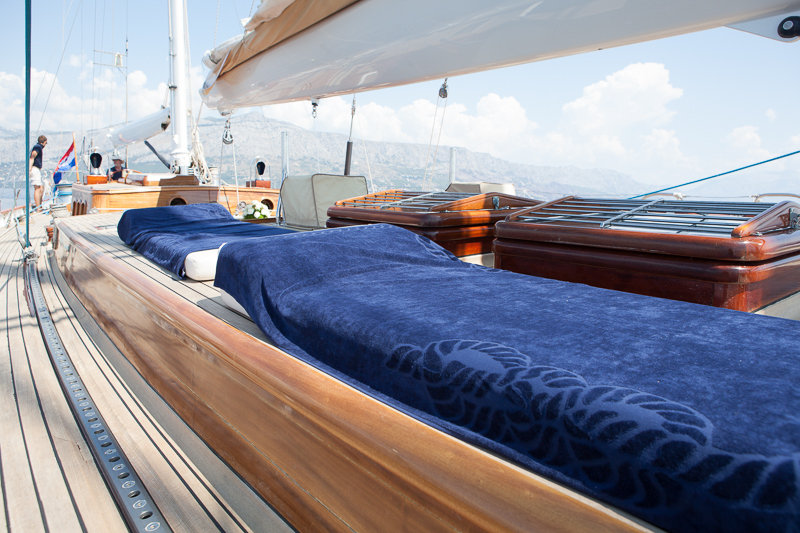 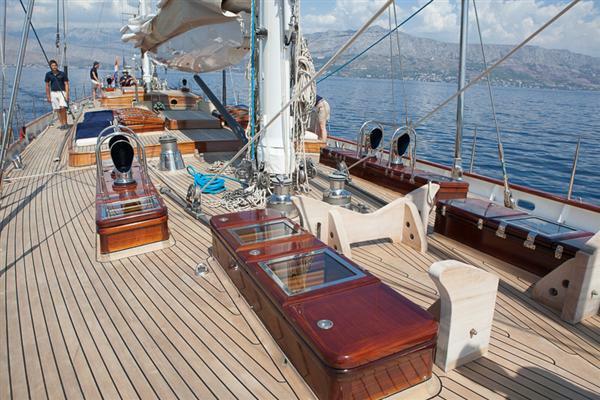 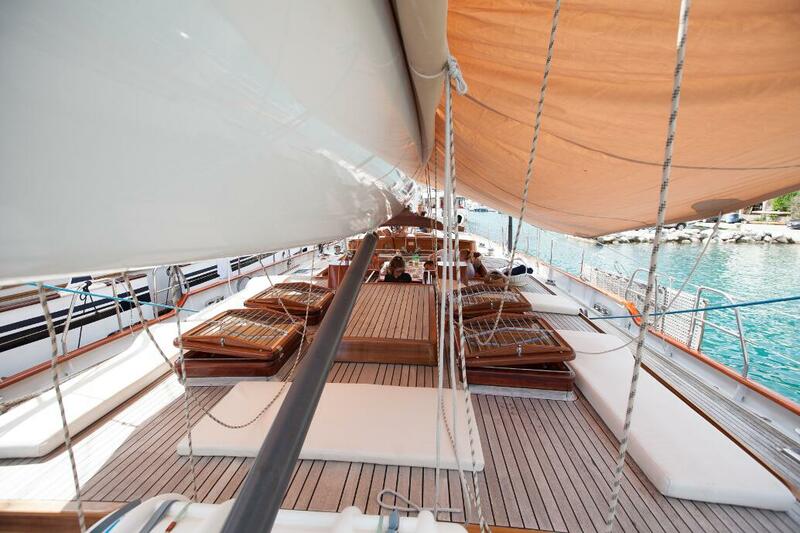 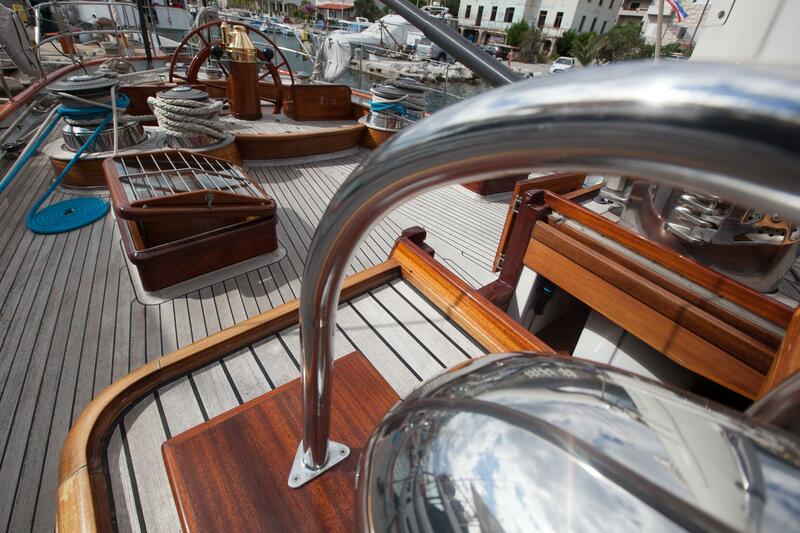 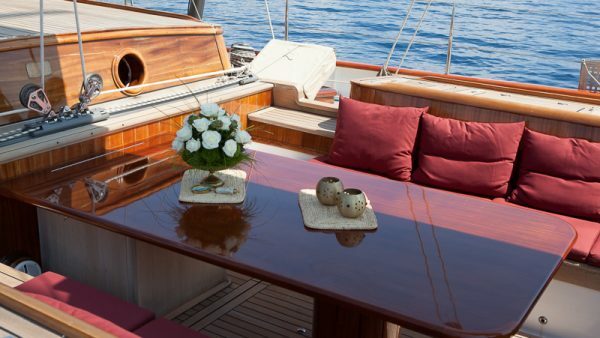 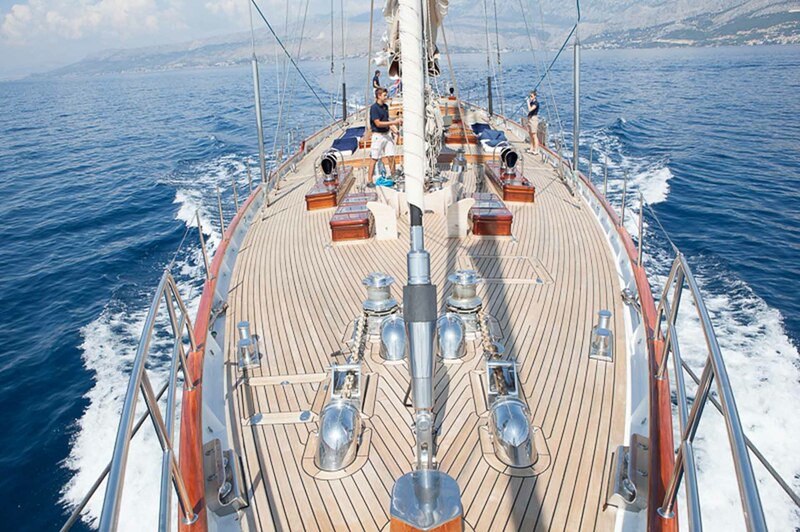 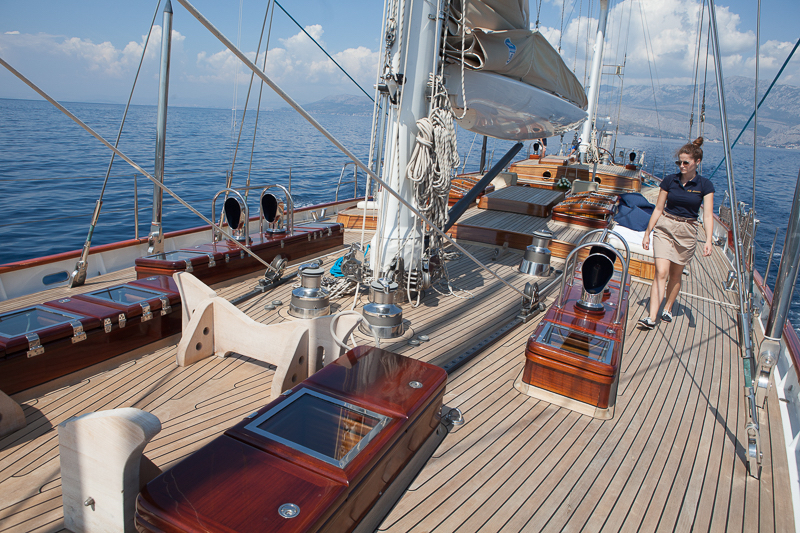 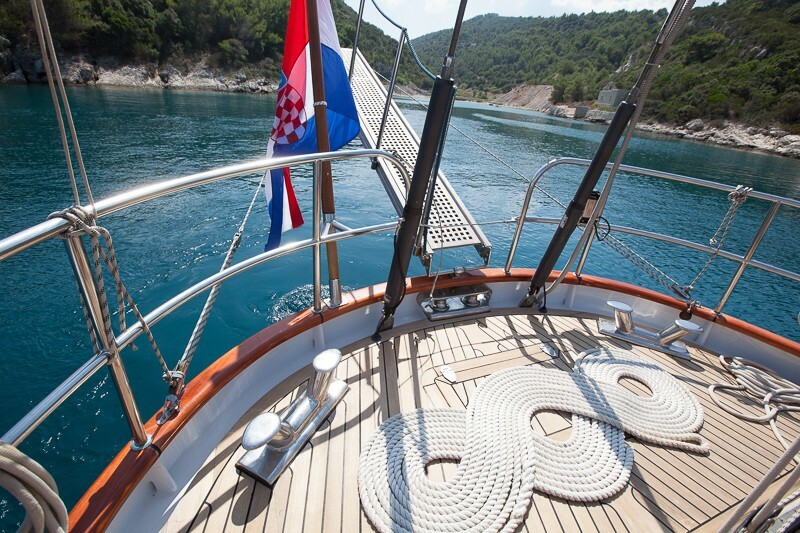 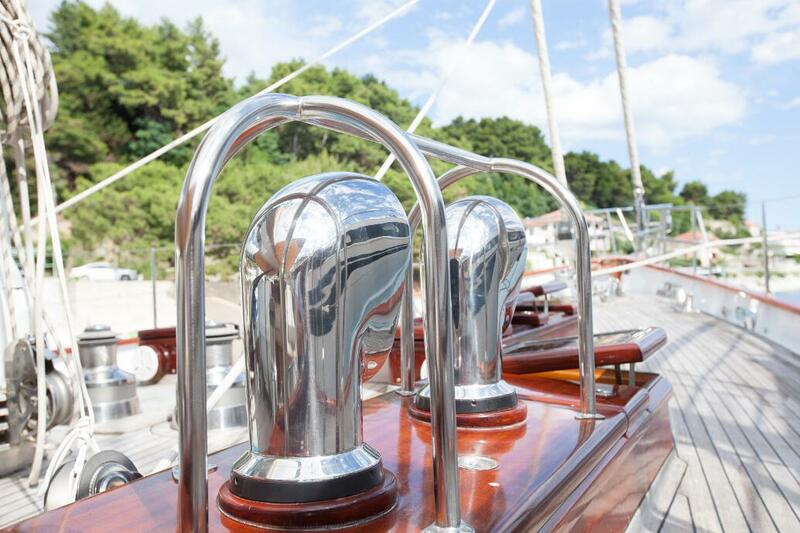 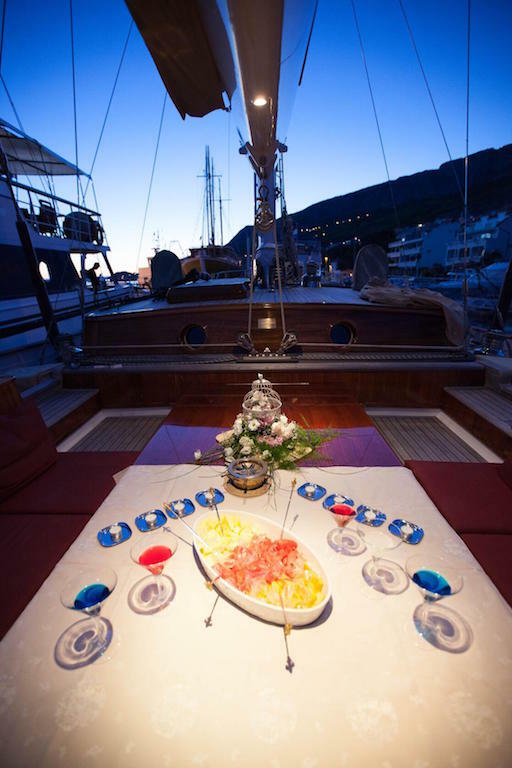 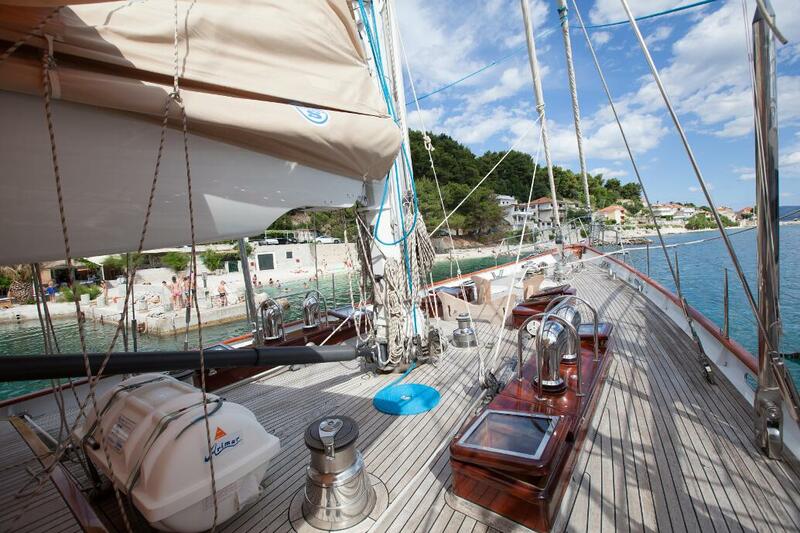 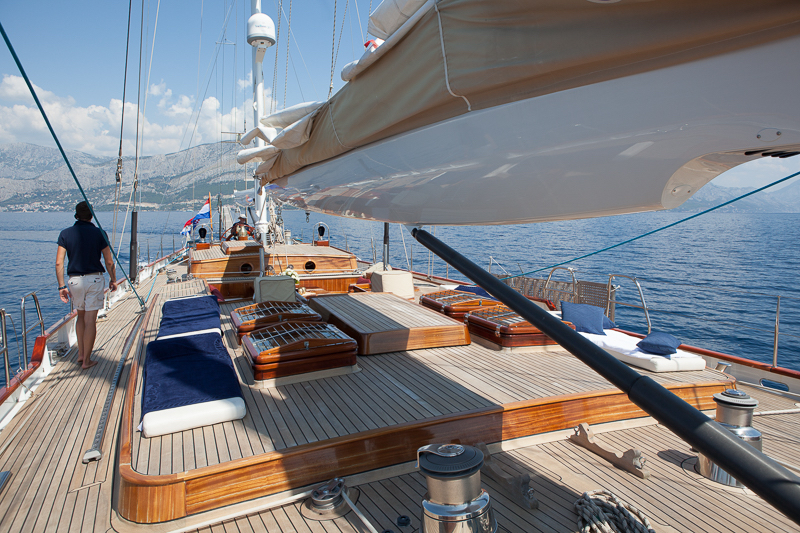 Lauran boasts generous decks, where charter guests can sunbath, entertain and enjoy the breataking views. 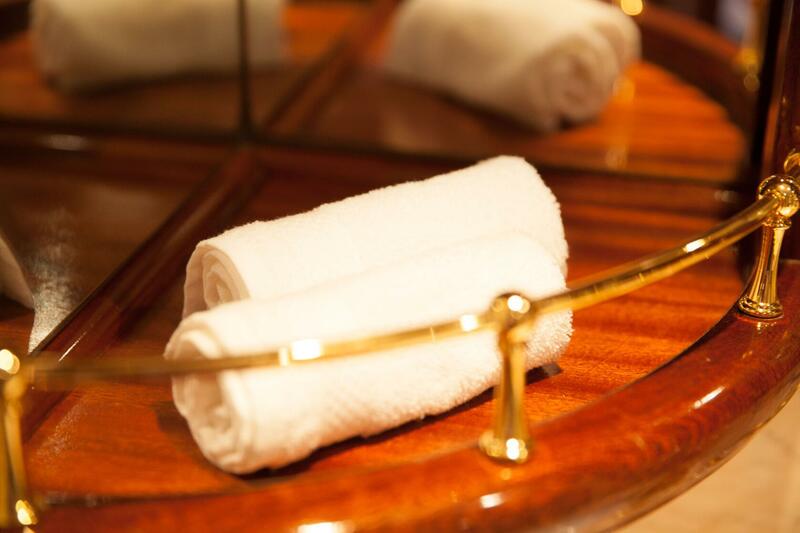 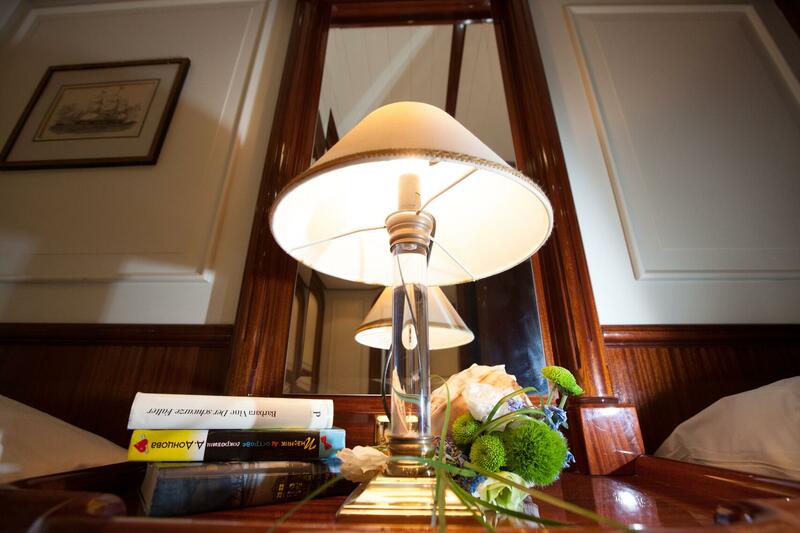 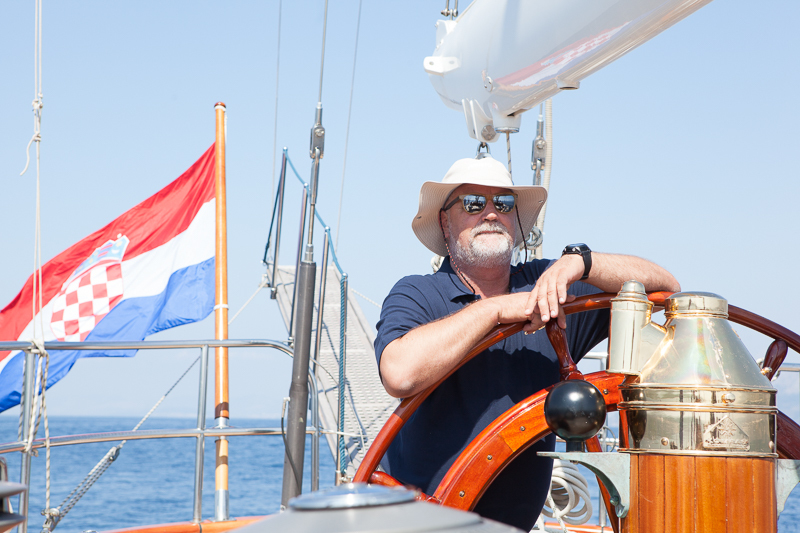 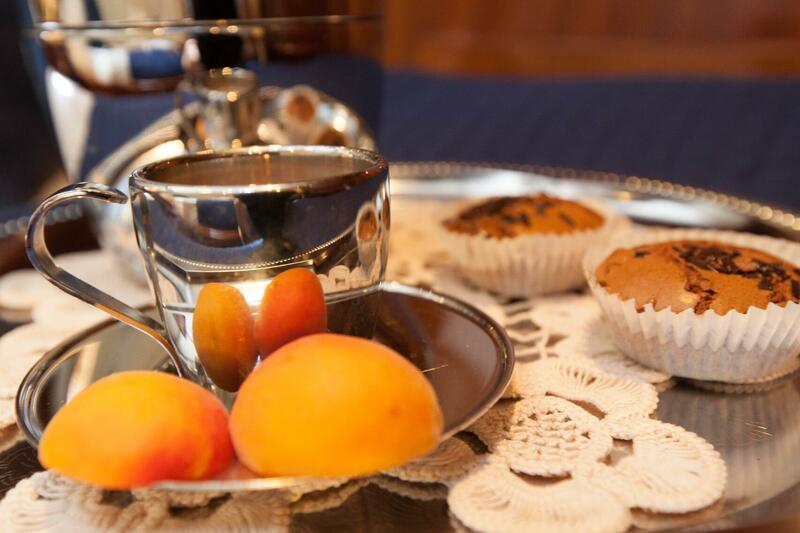 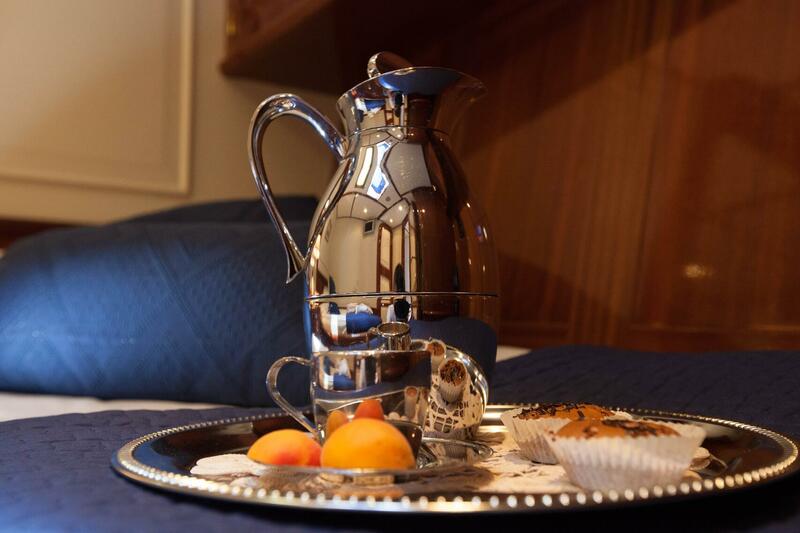 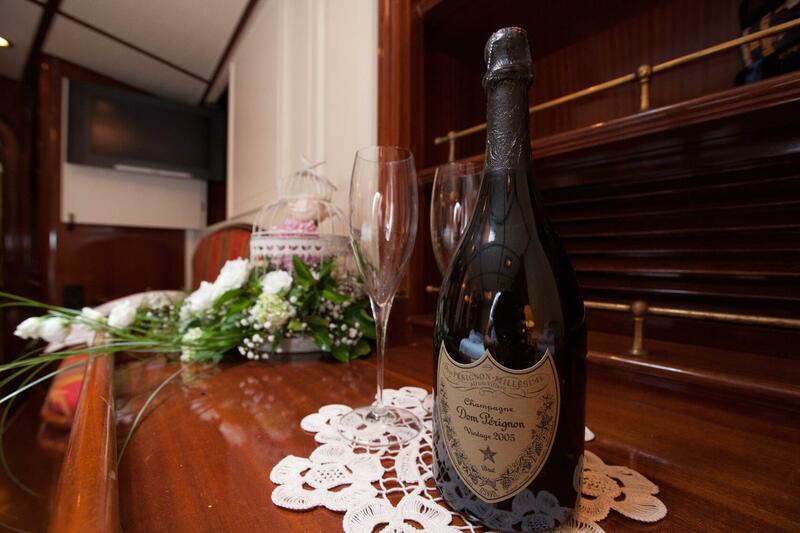 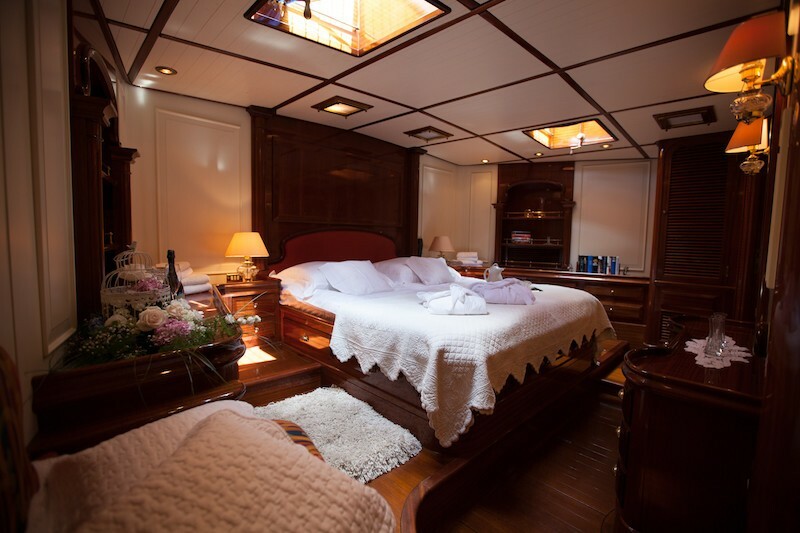 Suitable for families and couples, accommodation is offered across four cabins. 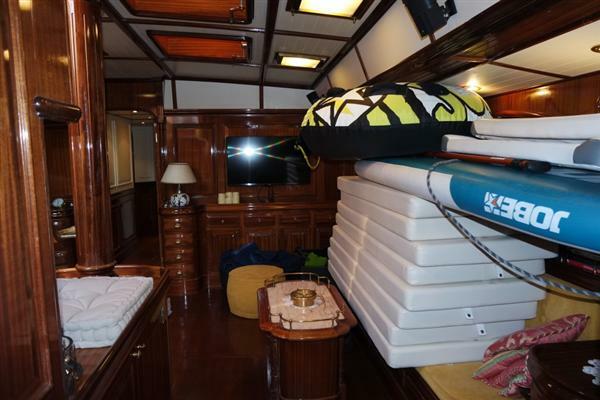 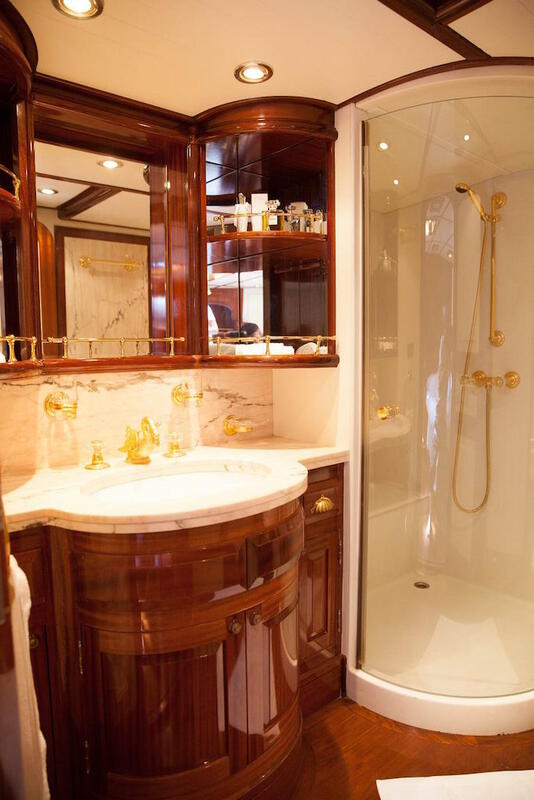 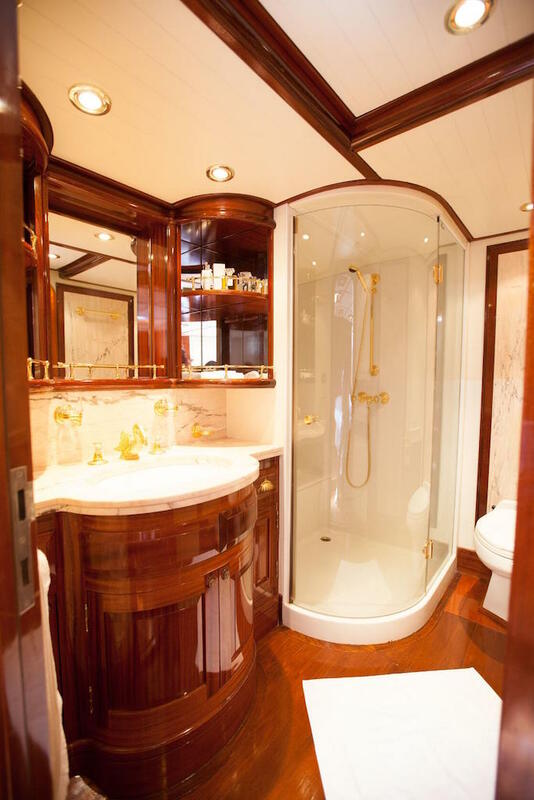 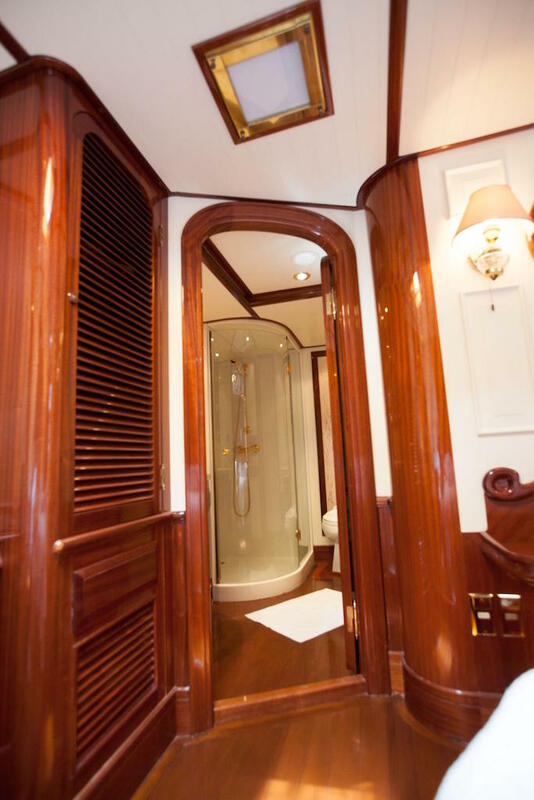 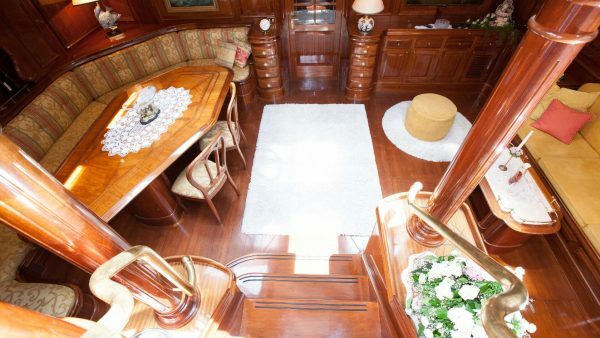 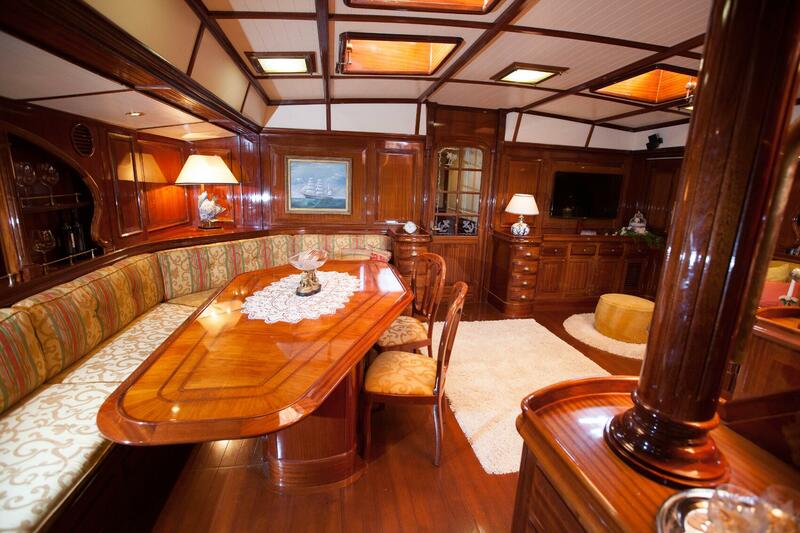 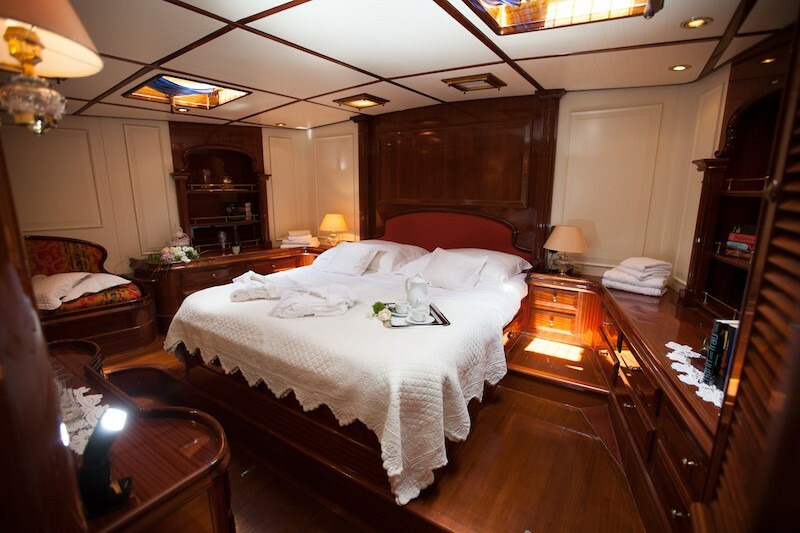 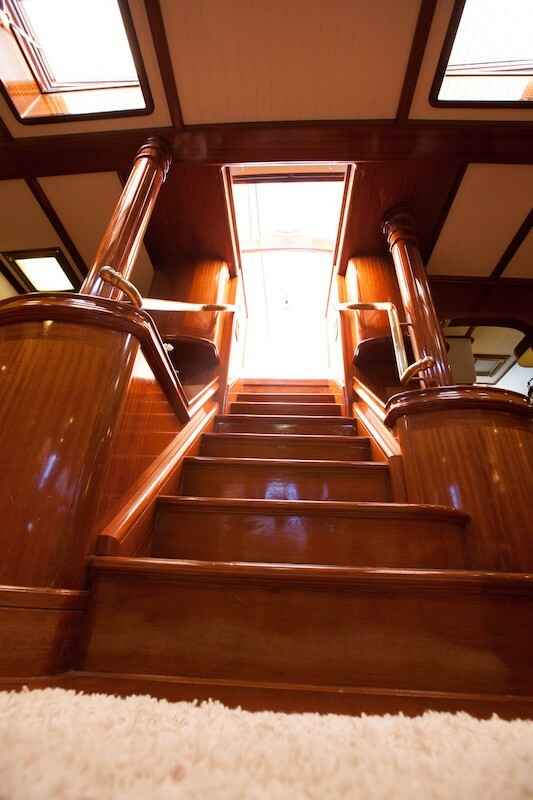 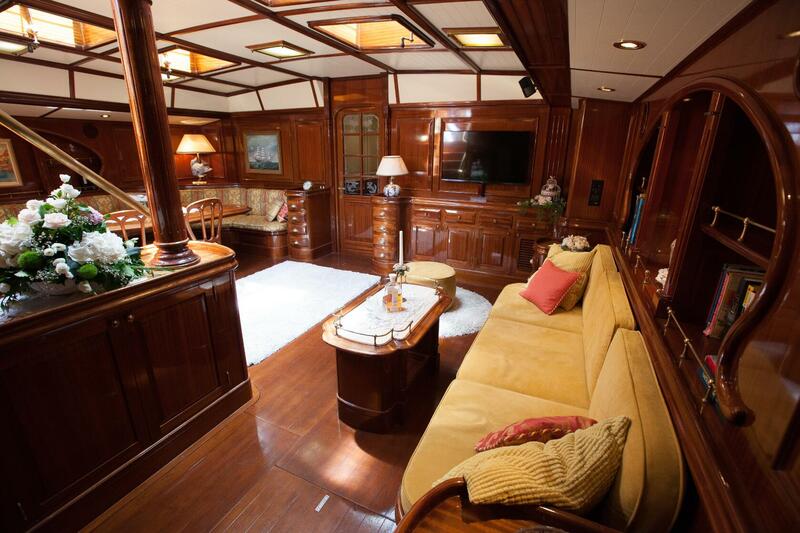 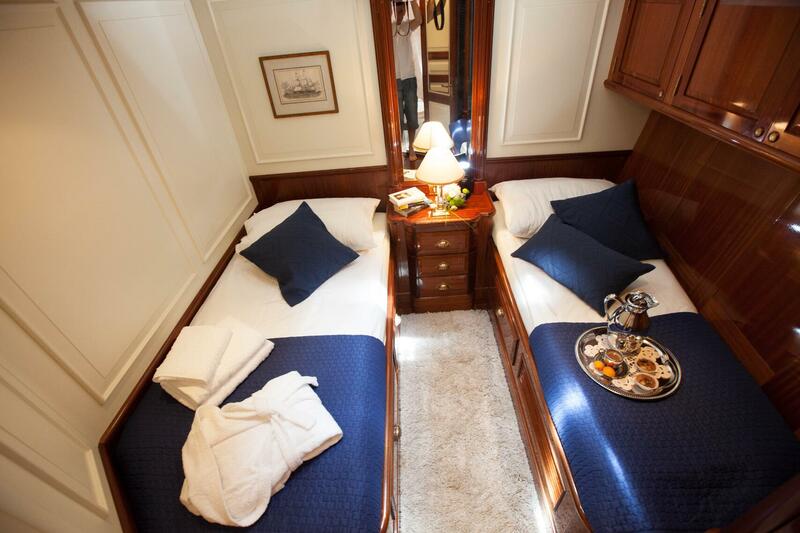 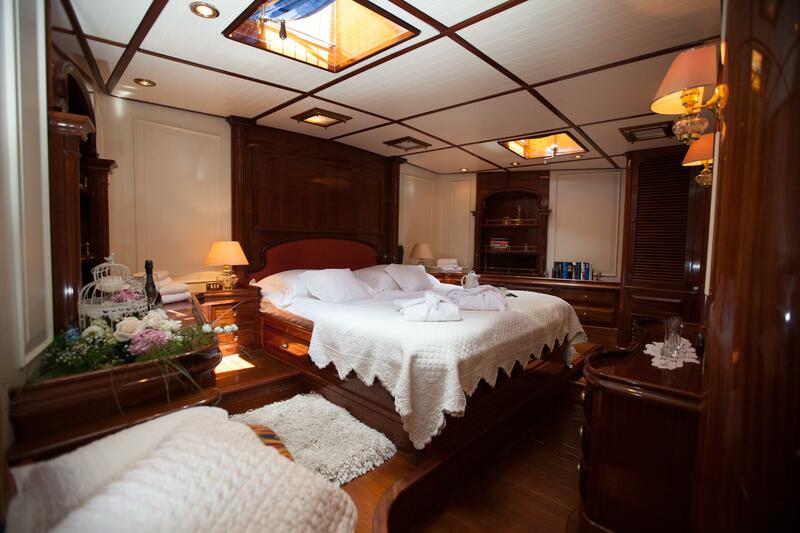 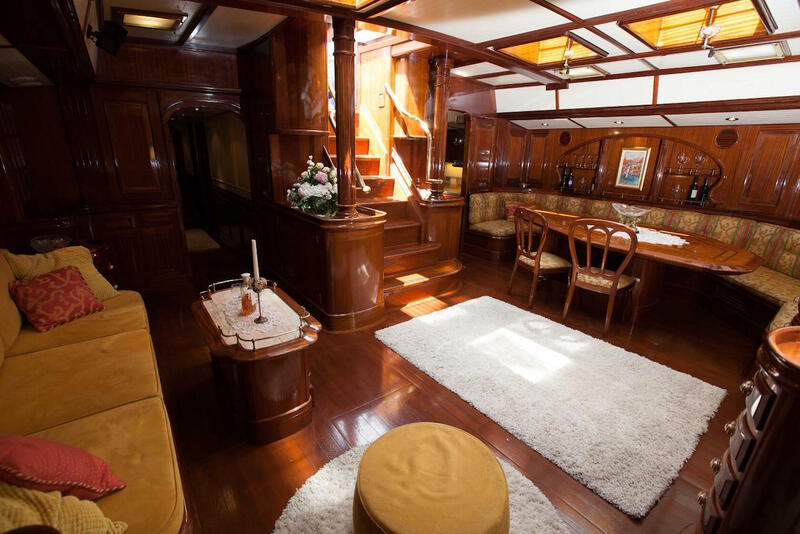 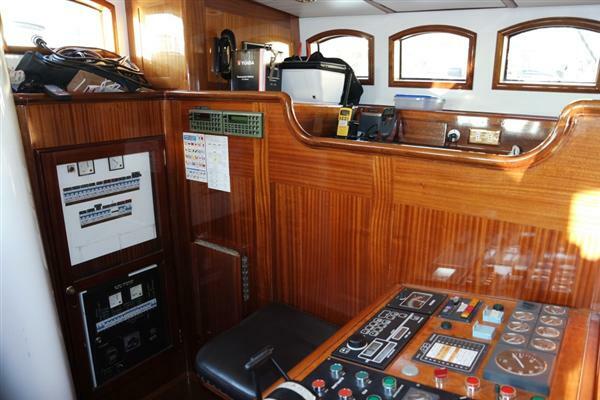 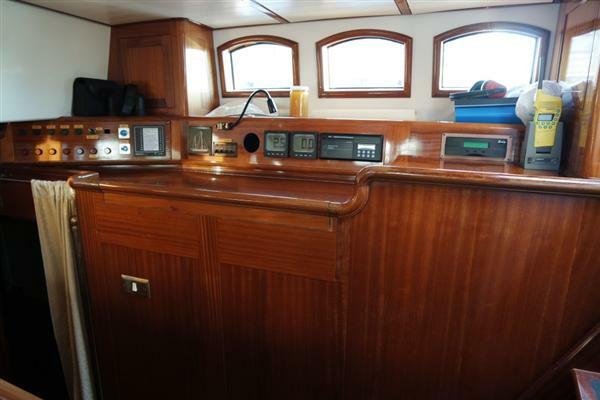 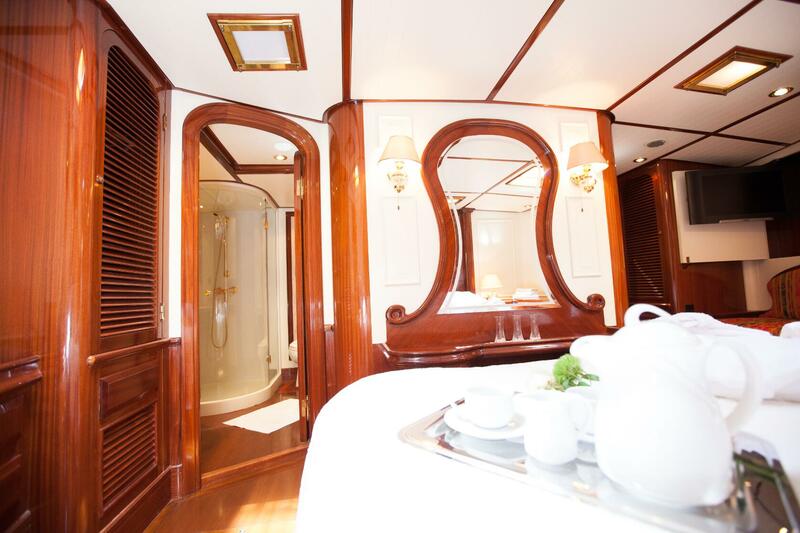 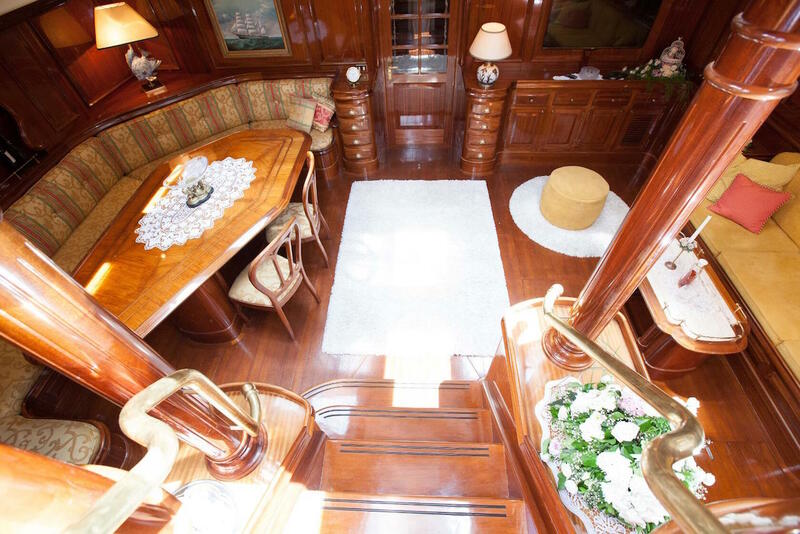 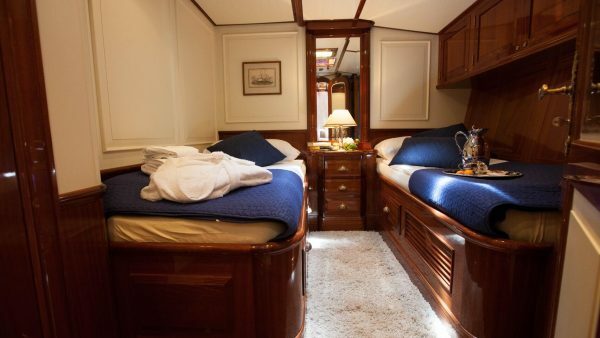 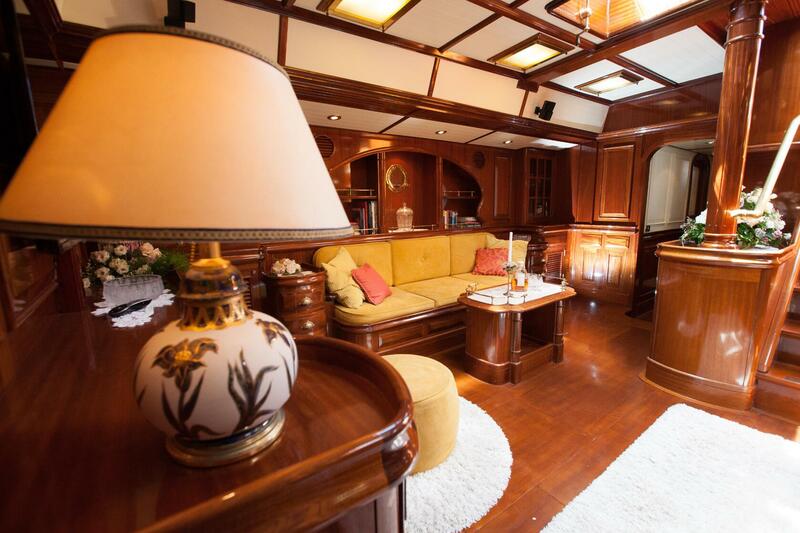 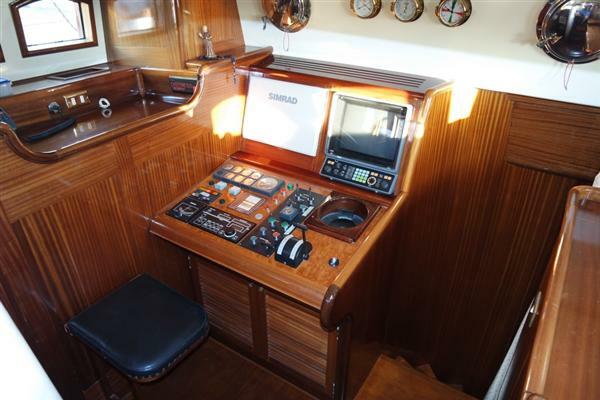 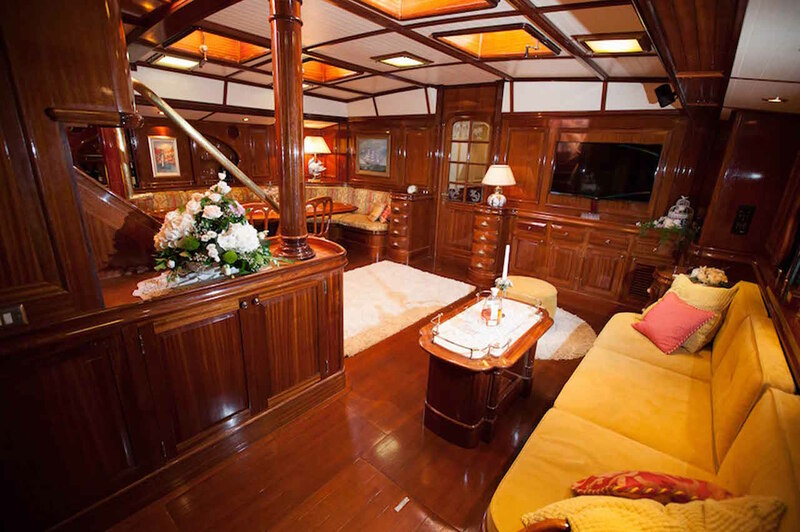 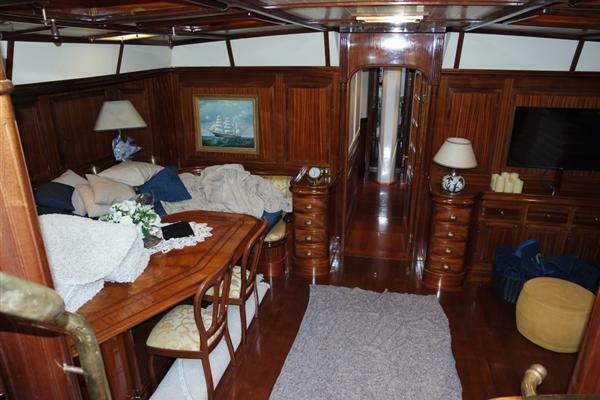 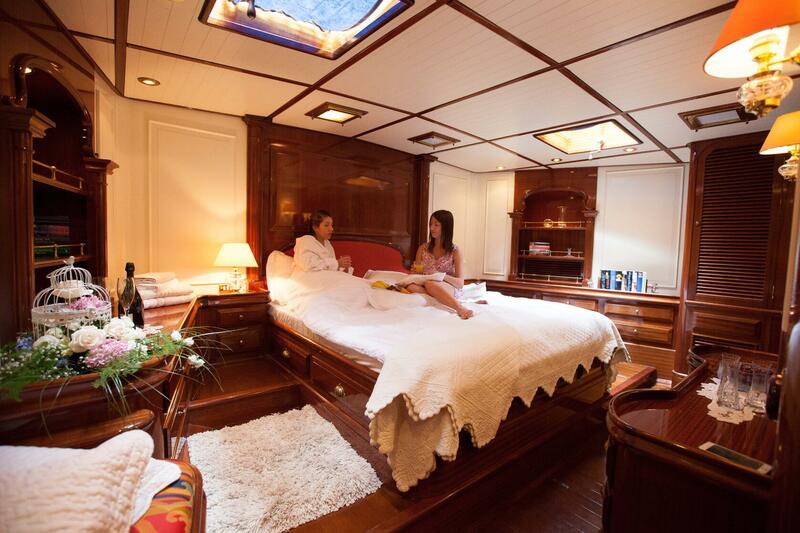 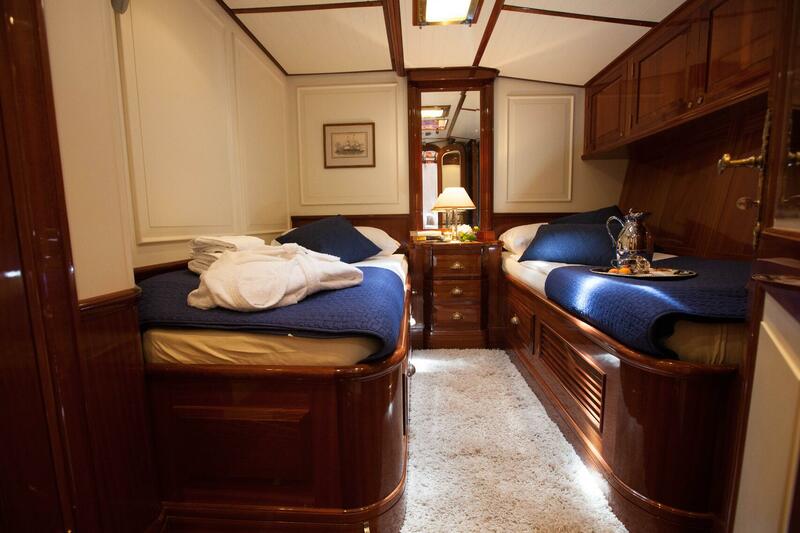 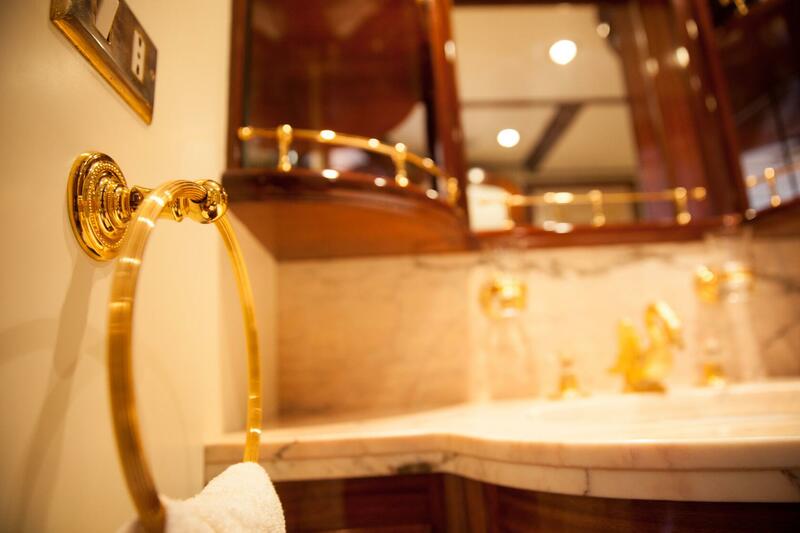 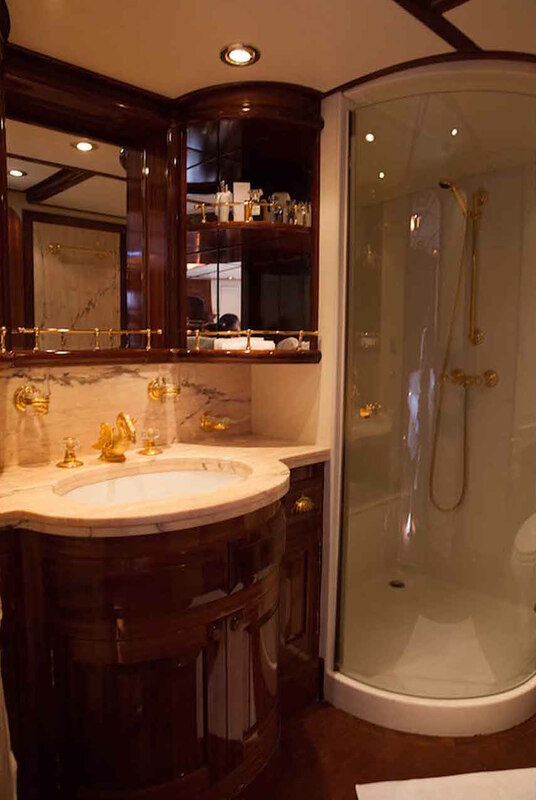 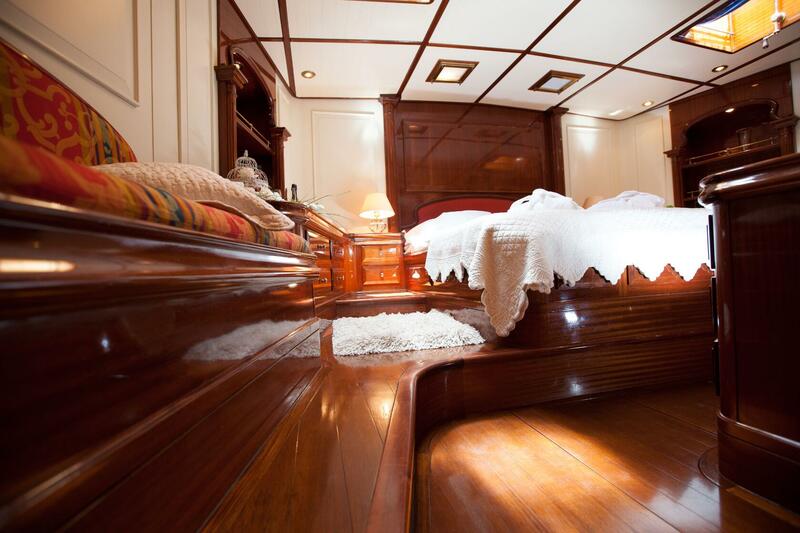 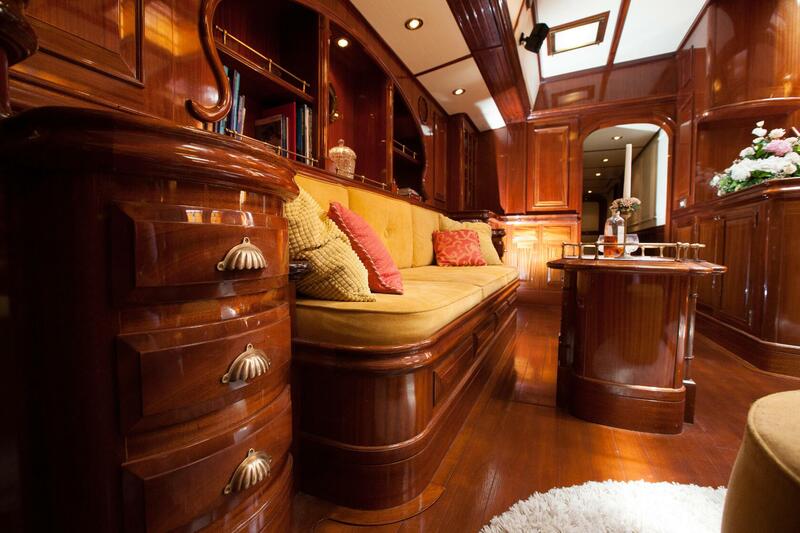 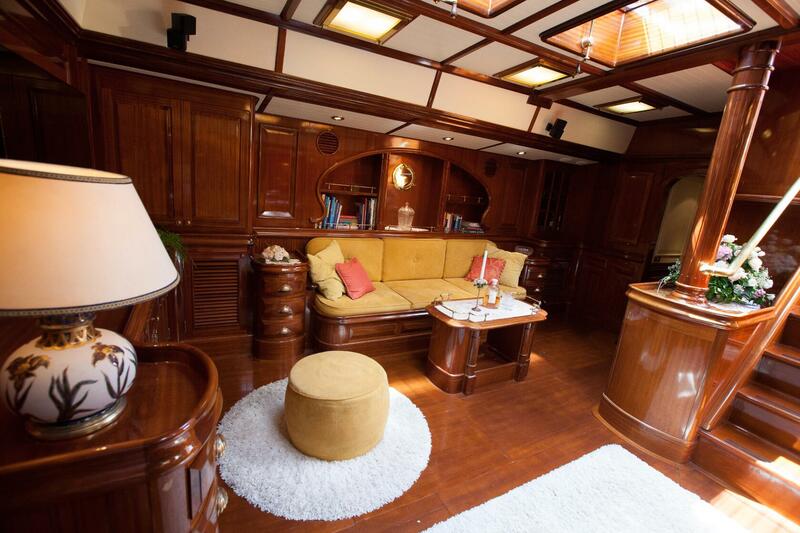 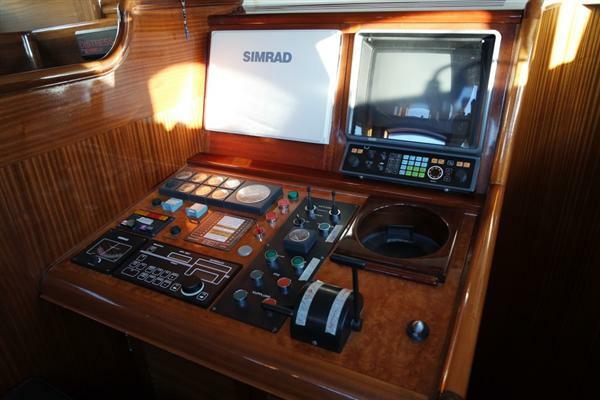 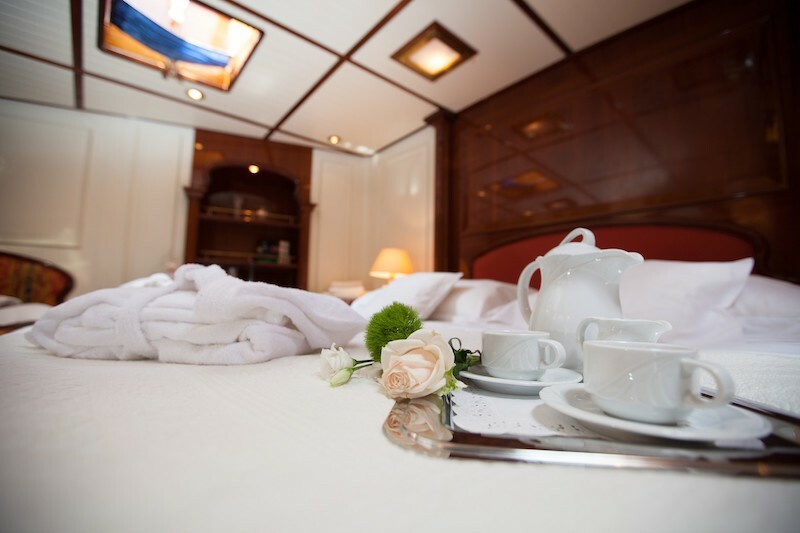 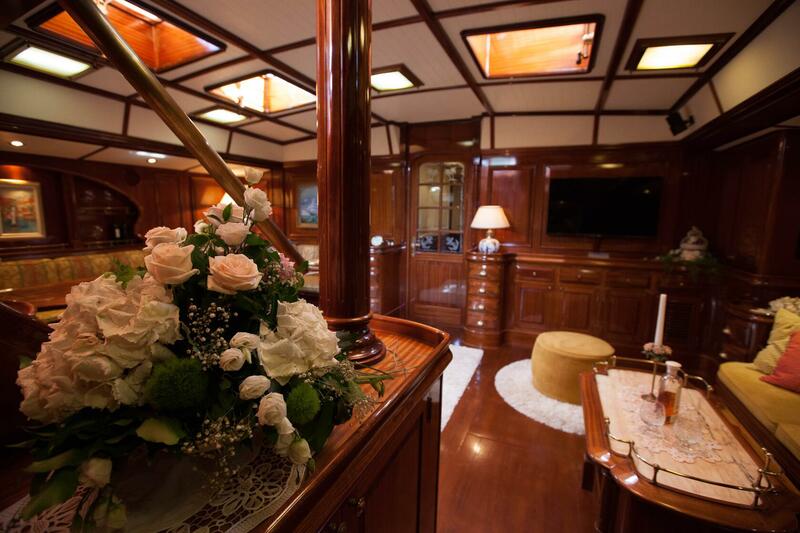 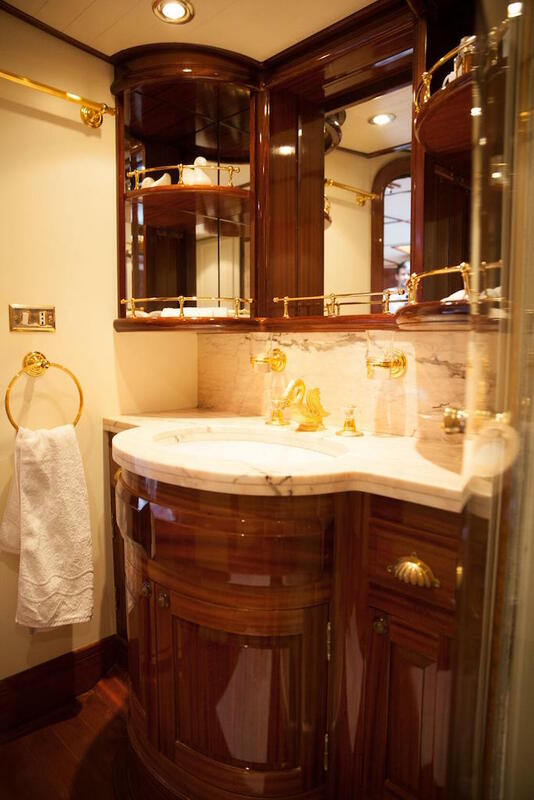 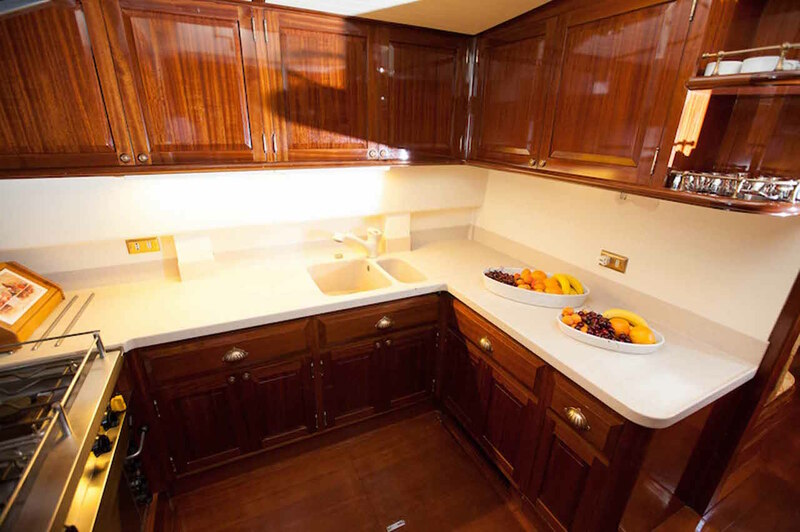 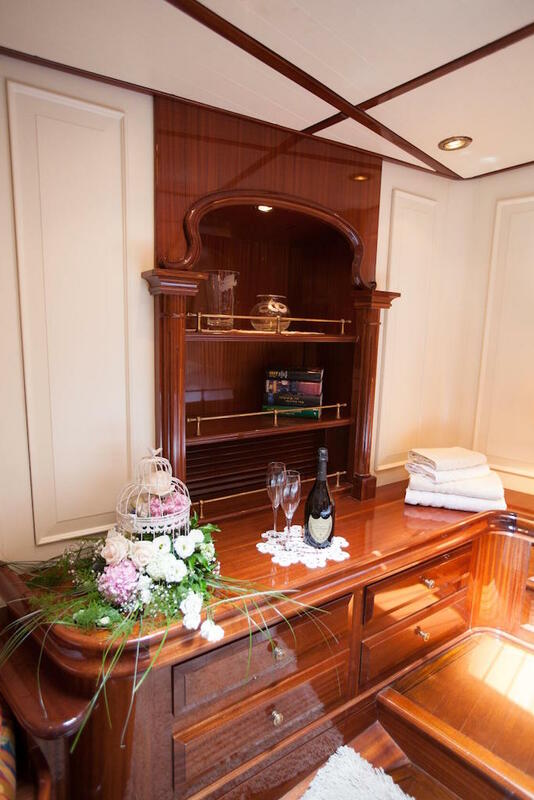 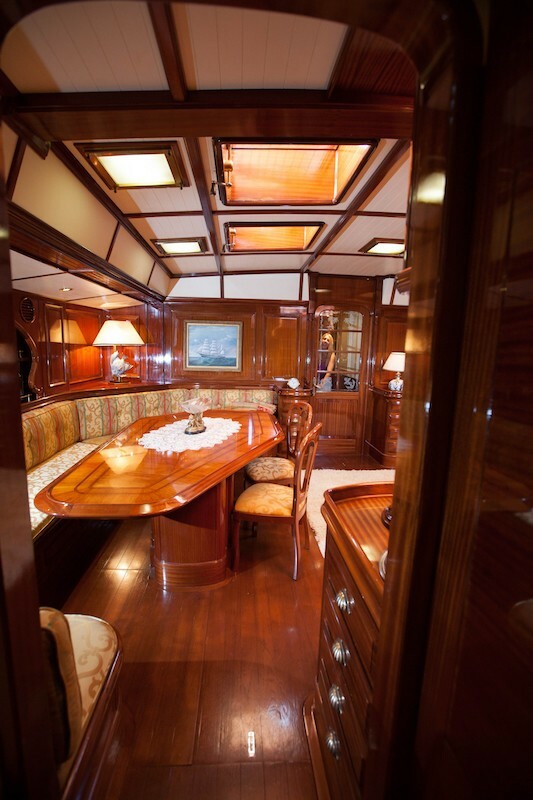 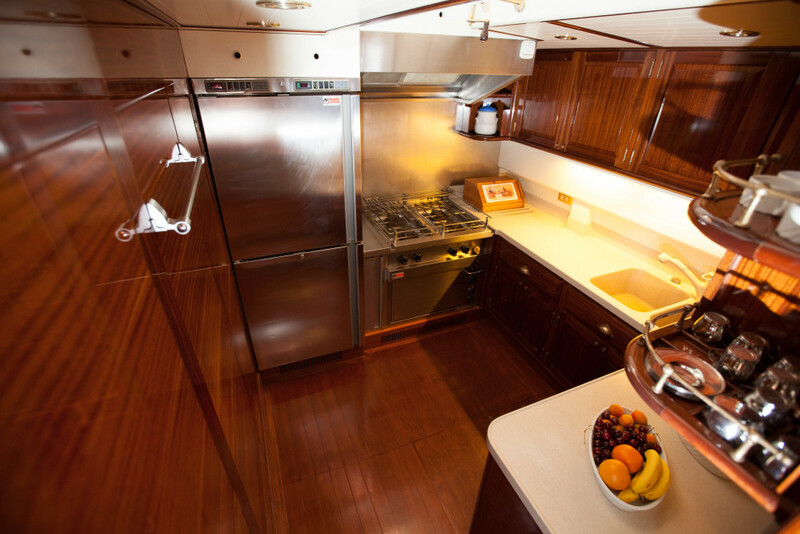 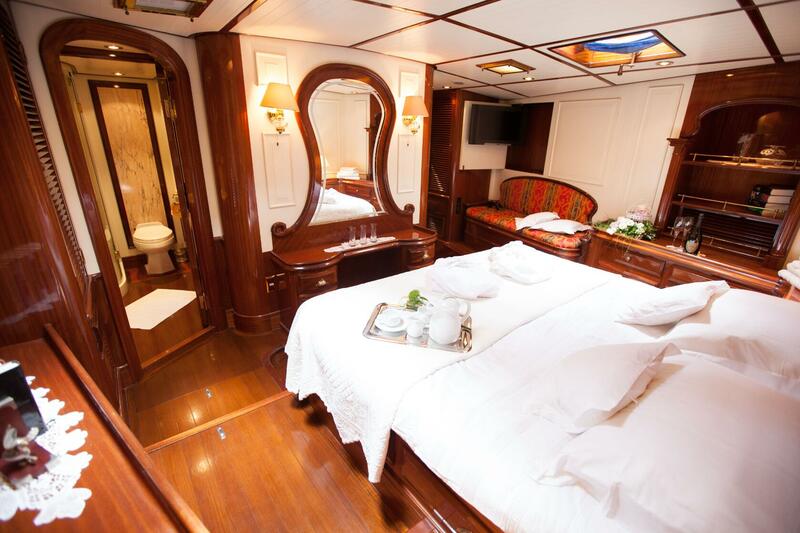 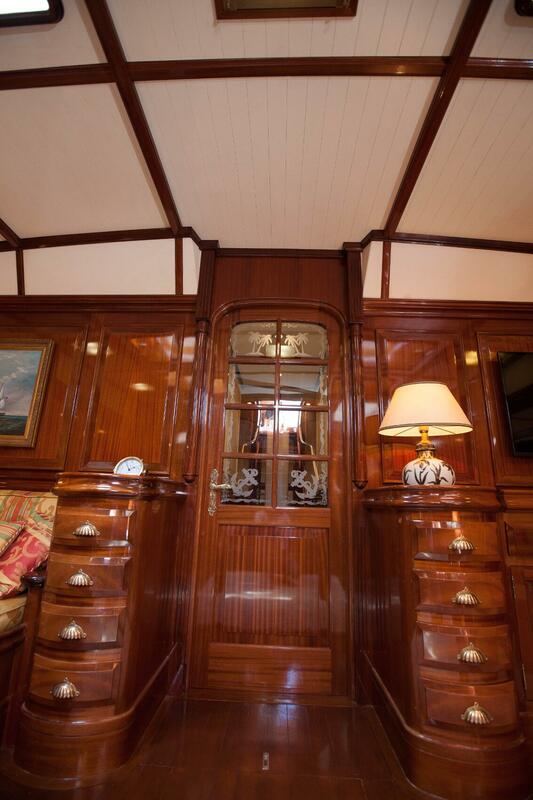 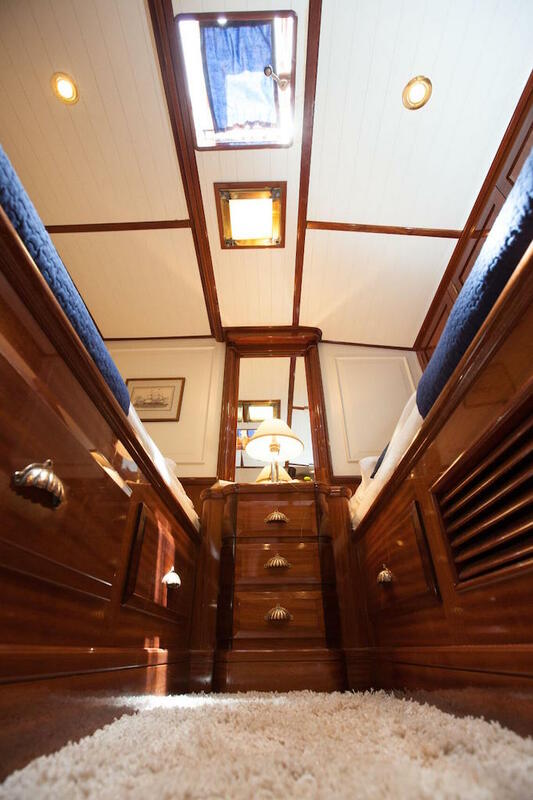 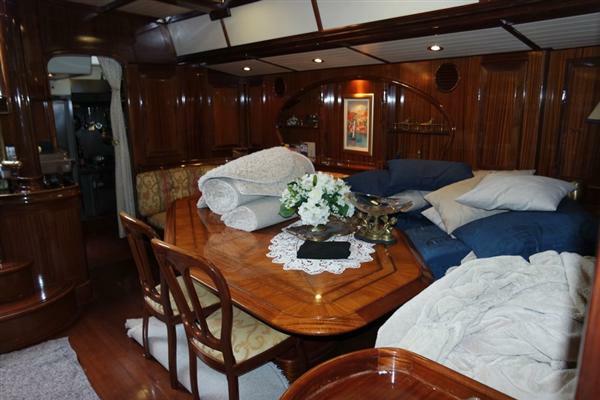 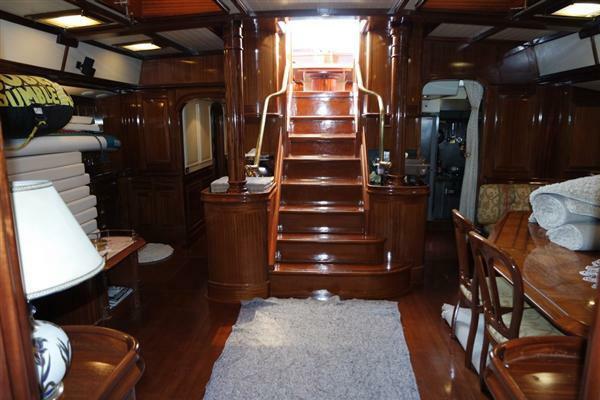 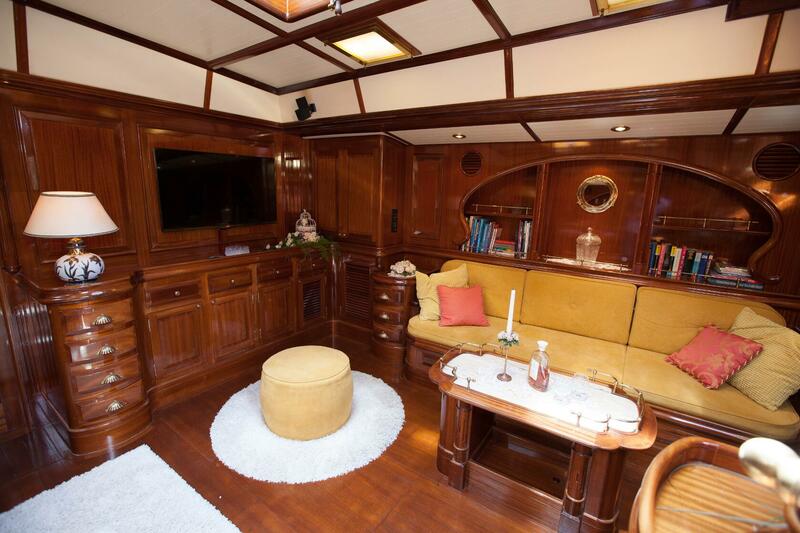 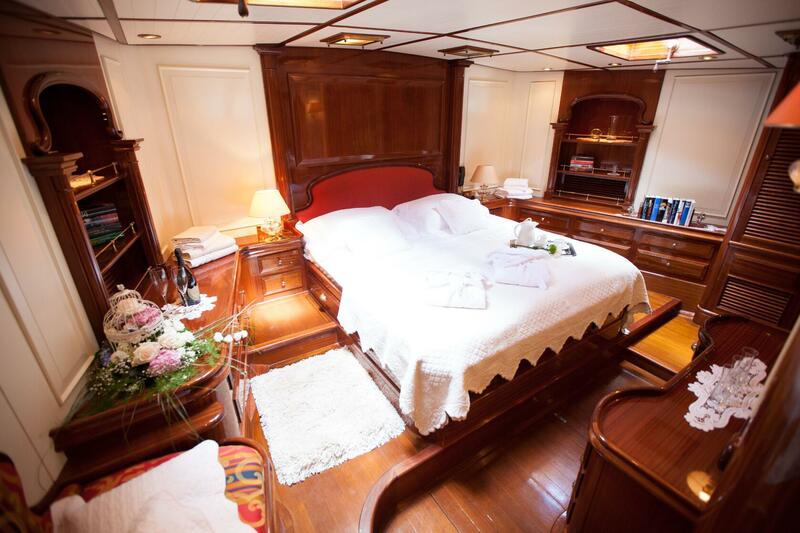 There is a master cabin, with ensuite bathroom, large storage spaces. 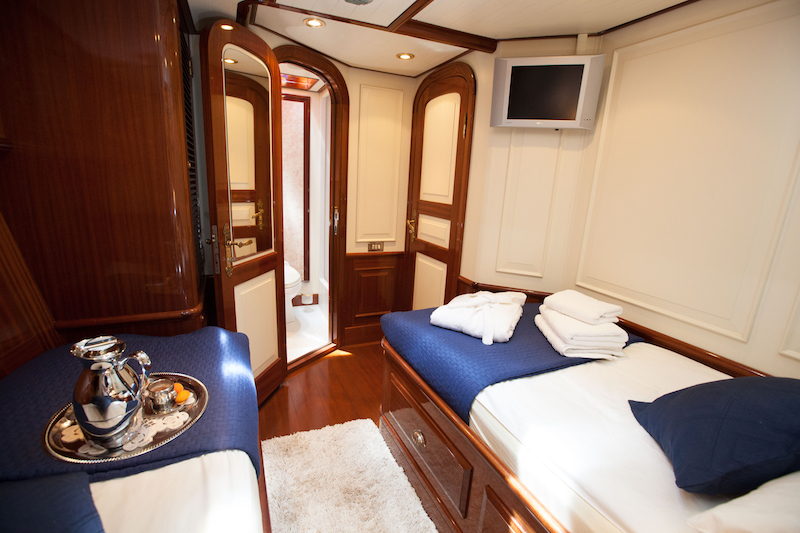 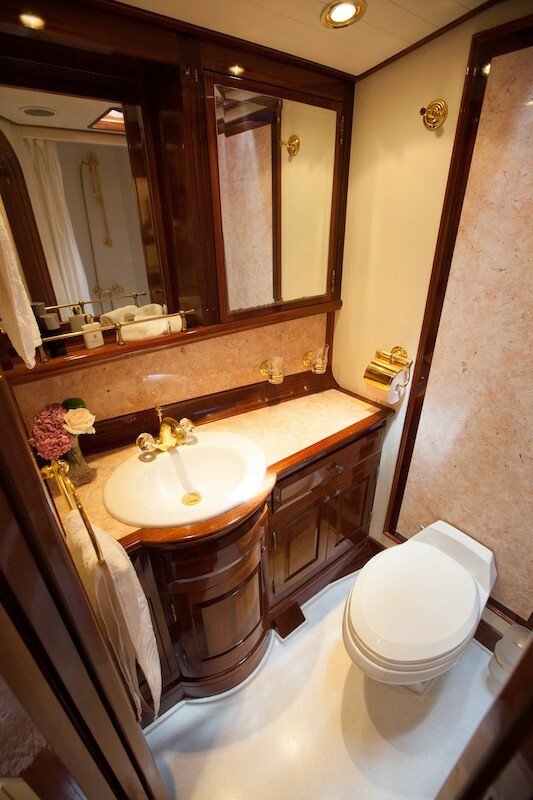 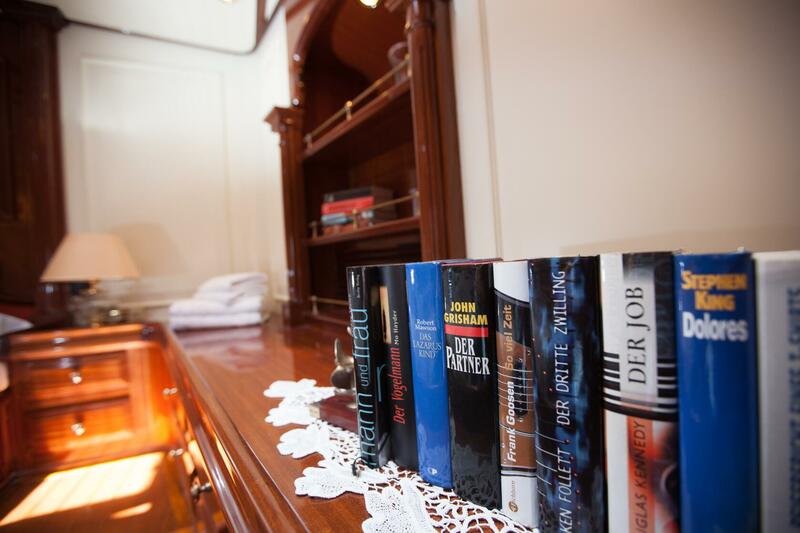 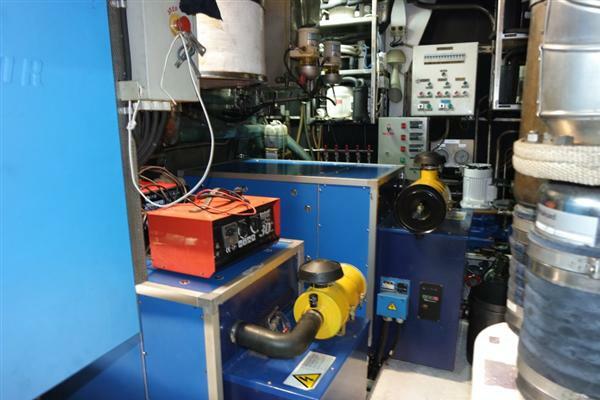 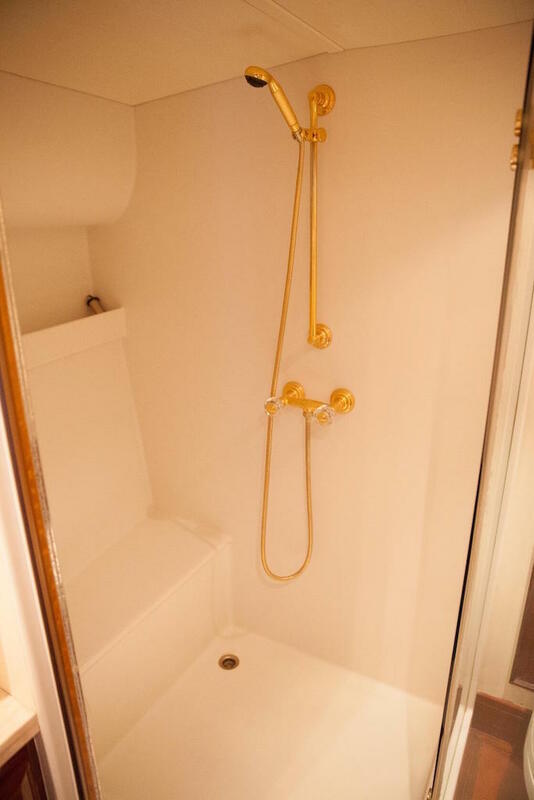 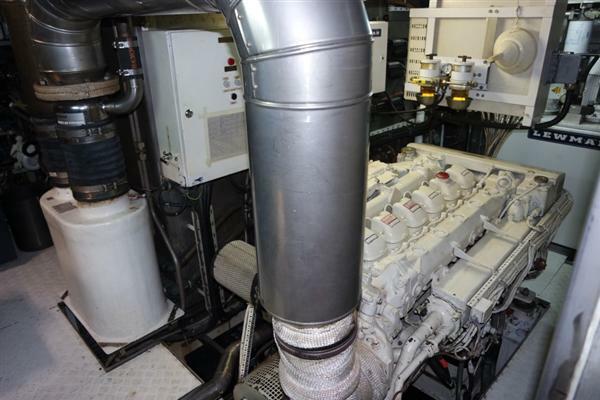 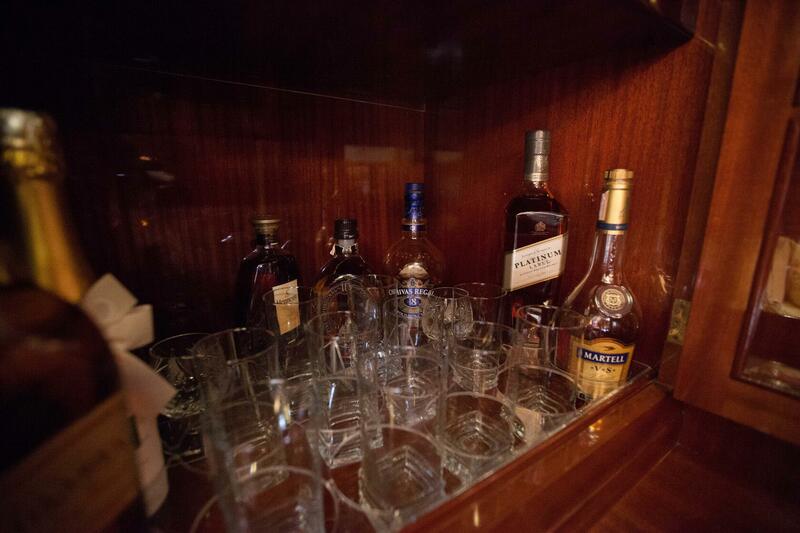 The twin cabin has an ensuite bathroom and a large storage space. 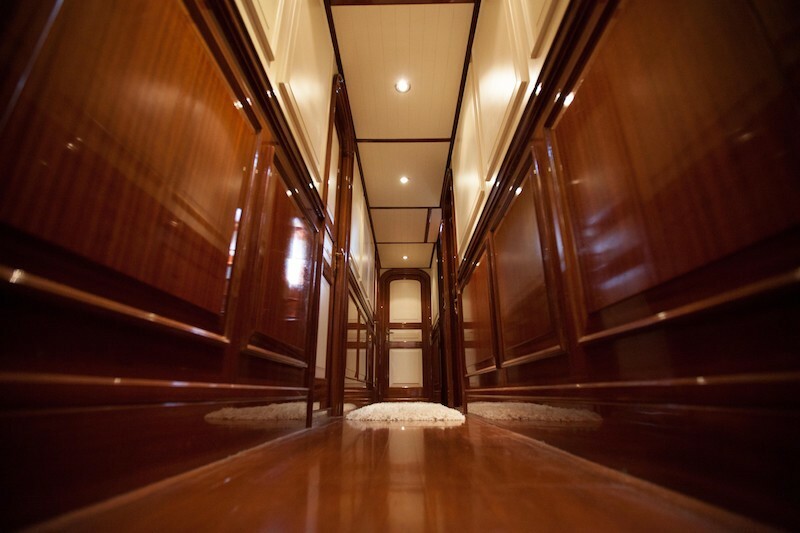 One single cabin is also with an ensuite and a storage space.